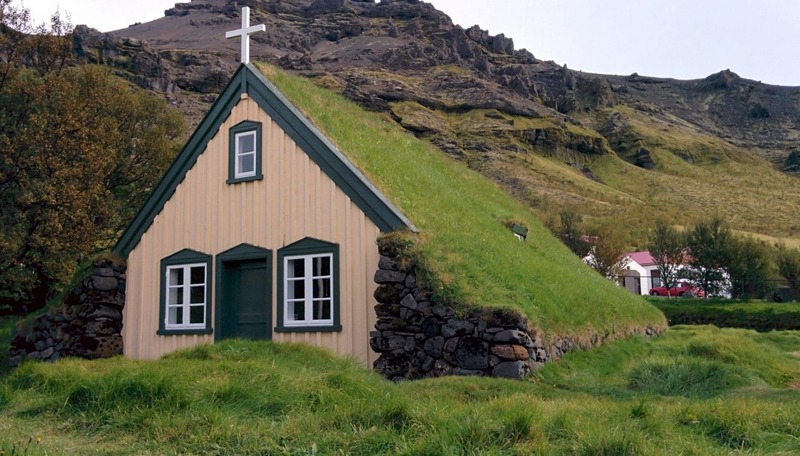 Iceland is very trendy currently and it’s easy to understand why. This country is amazing! 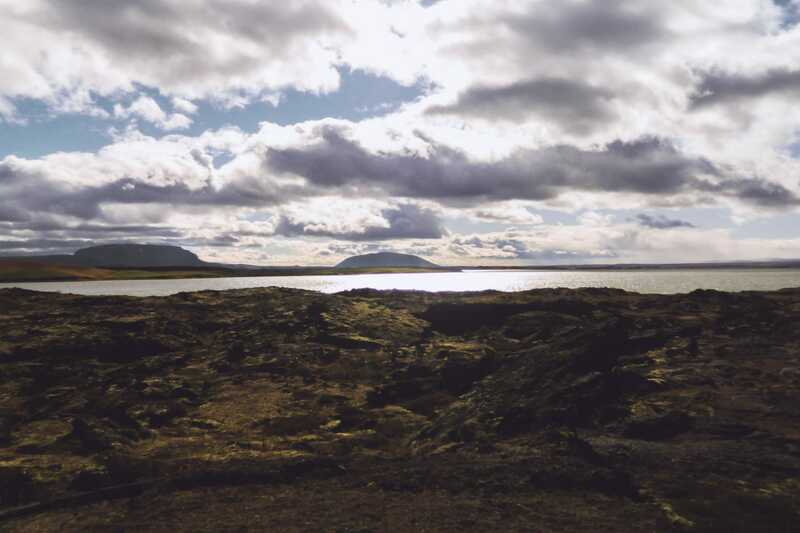 Between the US and European tectonic plates, Iceland is experiencing a strong volcanic activity in an atmosphere of Far North, all dotted with majestic cascades, lakes, immense empty spaces … It is perfect! 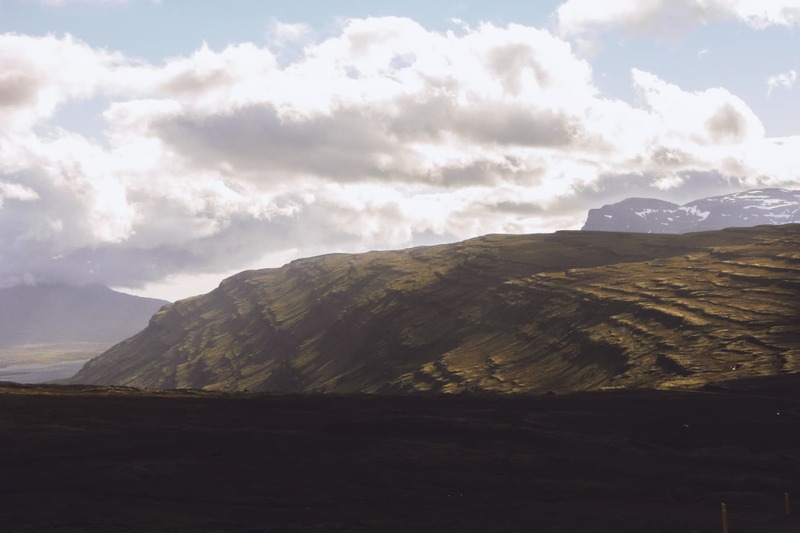 This trip was my first road trip solo, Iceland lends itself quite to this kind of travel. Follow me during this 14 days in the land of the Volcanoes, the elfs and the hidden people. 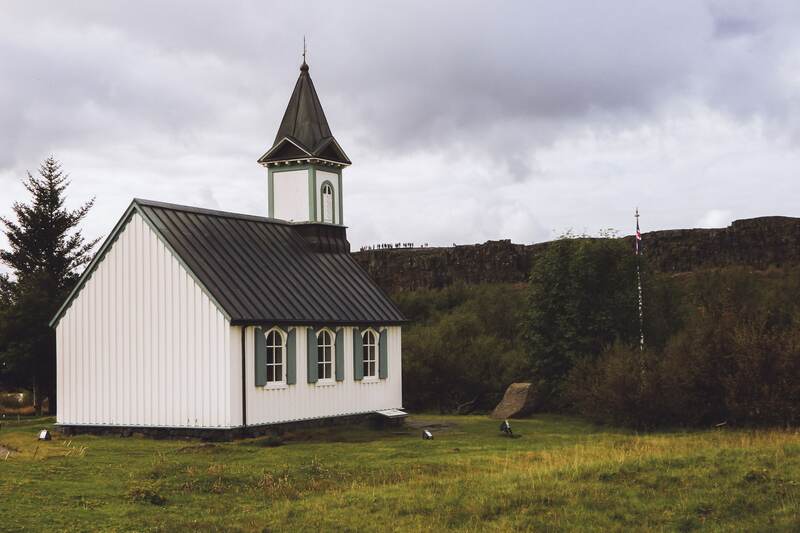 Iceland is also interesting from a historical point of view. 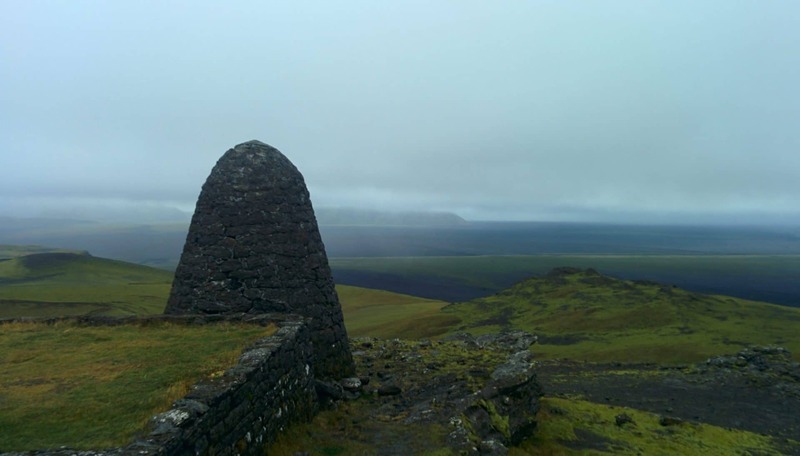 Although its settlement by Irish monks will go back to the 8th century AD, the island grew during the Viking period in the 9th and 10th centuries. 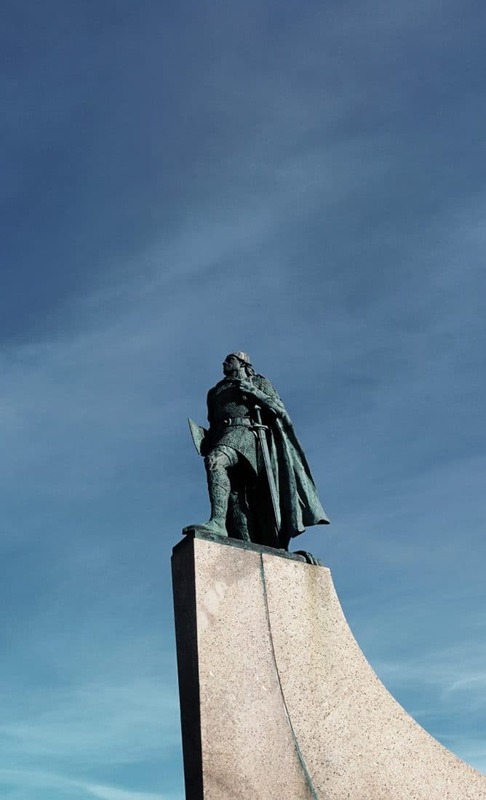 It has been used for the conquest of Greenland by Erik the Red (in 984) and then surely of Vinland by Leif Erikson. There are many relics of this period in the country, be it buildings, but also in a certain way of thinking and in certain beliefs. Concerning beliefs it is interesting to note that 40% of the population believes in elves and in a race of invisible humans but well present, hidden people. This belief is so strong that it is taken into account when building roads for example so as not to destroy an elven place. 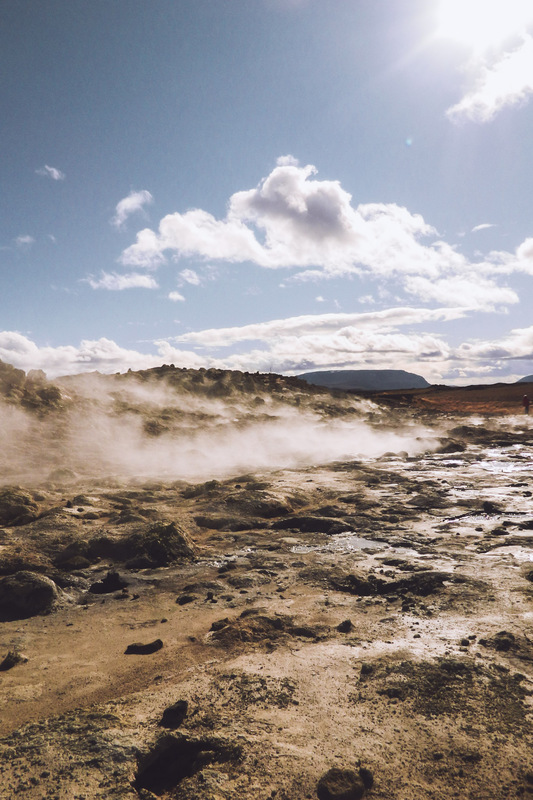 Iceland is also known for its volcanic activity. 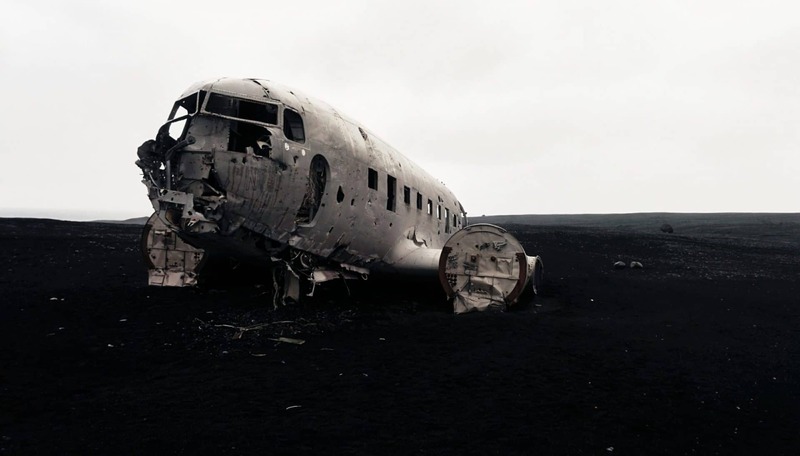 We all remember the complete cessation of air traffic in 2010 after the eruption of the Eyjafjöll. 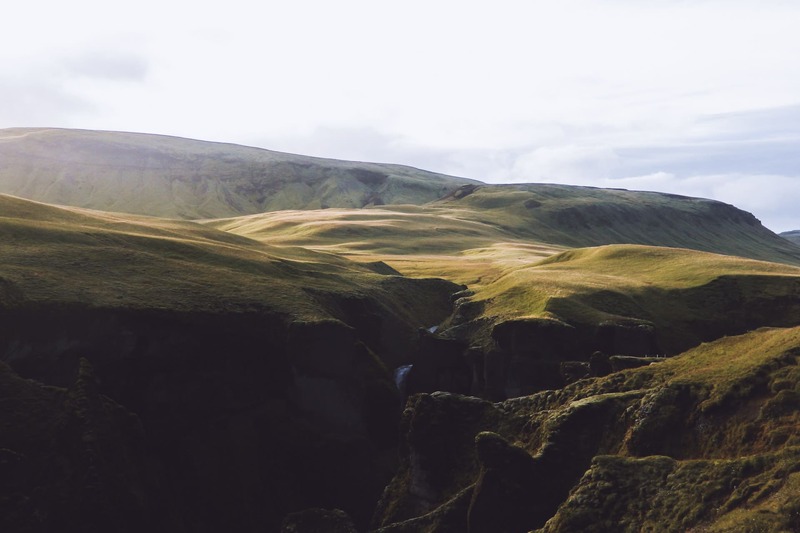 Iceland is straddling the Atlantic rift, that is, part of the country is in America and the other in Europe to simplify. There are about 130 active volcanoes, geysers, fumaroles and other telluric phenomena, volcanism is omnipresent. Humans use this resource to create electricity (geothermal energy) or to heat themselves. Even the water from the shower had a small sulfur smell. Once at the airport I get my little car that will be my companion for these two weeks, it will be a red Kia Rio. I would have preferred a 4×4 to explore the famous F-Road but the price of the rental on its own was a bit high. 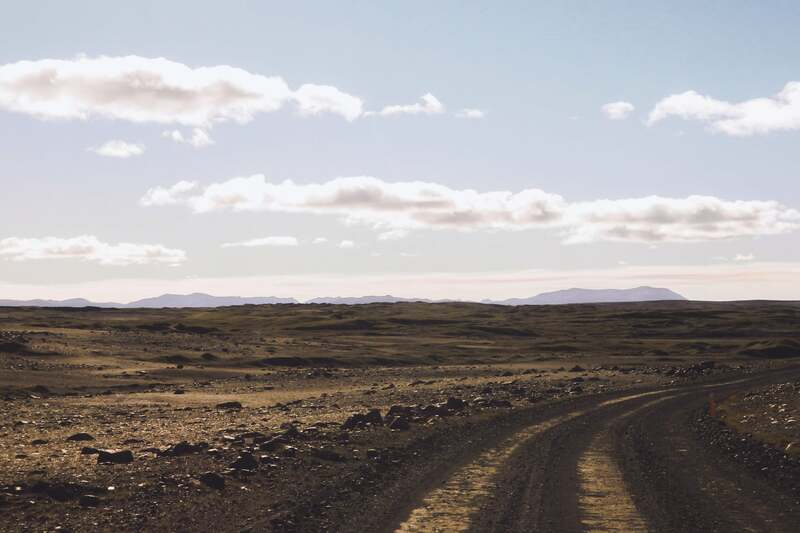 In Iceland most of the inner roads are “F-Roads”. It is road are not tarred and can go through lookouts … The use of an appropriate vehicle is legally required, so you have to have a 4×4 to go through them. Do not engage lightly on these roads especially if you have to cross a river, on this point the F35 is very convenient because it stays dry all along. First stop: to reach Reykjavik to finish the day. The road between the airport and the capital is nice : the landscapes are volcanic and empty. It’s nice even under the clouds. I arrive in one hour in the city center. 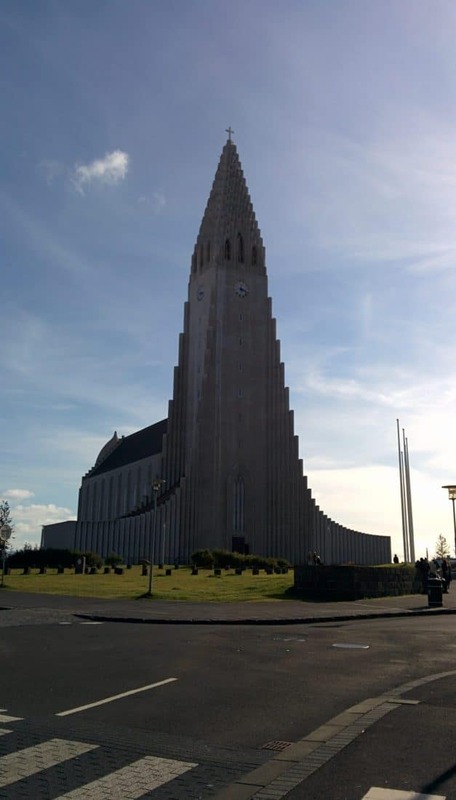 Although it is the capital, there are only 200,000 inhabitants in Reykjavik. So the city is not very big. I find the hostel where I spend the night (Kex Youth Hostel). I then go on a tour in town and a complement of groceries. The city is nice but I do not have much time to walk around, I will do this on the last day. I will finish the evening by eating in a nice restaurant offering soups served in a loaf of hollow bread and going to bed early to be fit for the next day. Wake up at 6:30 am because today is the first real day here and it is busy. 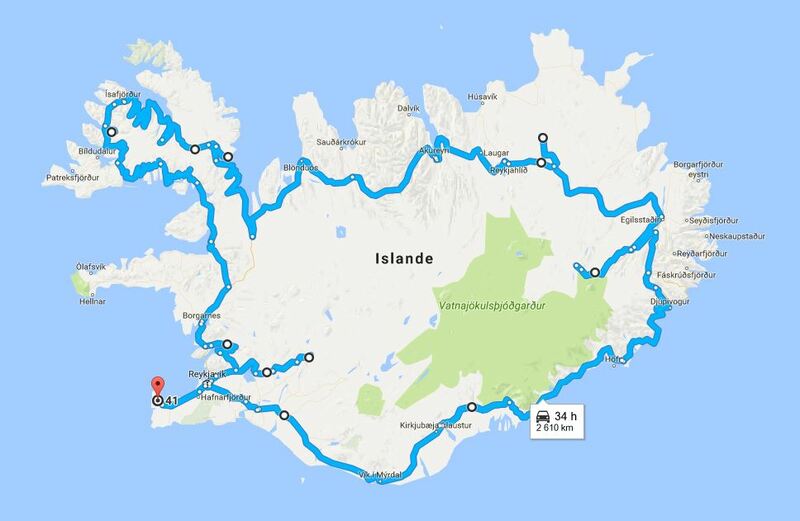 The idea is to go through the Golden Circle, the area to the north east of Reykjavik and which concentrates many places to visit. It is also one of the densest areas in terms of tourism even if it remains content. 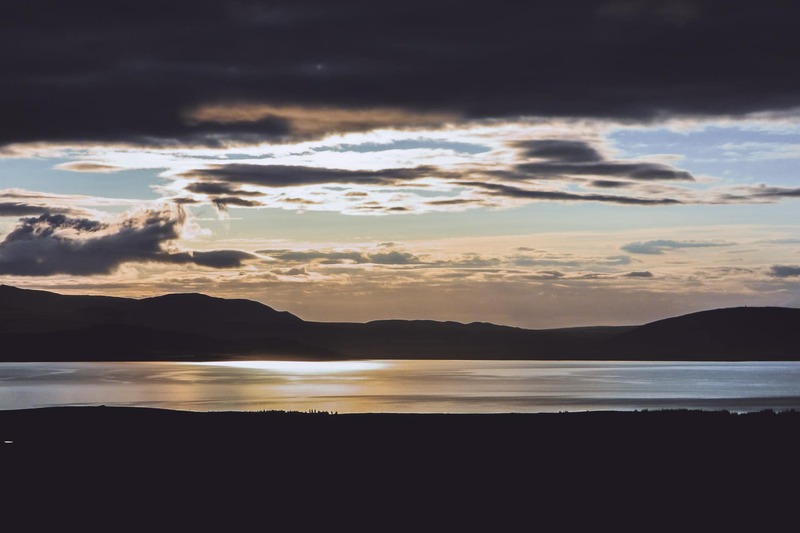 For the moment I leave the city and I am following the road 36 towards the lake of Þingvallavatn. The landscape is beautiful especially under the morning light. The vegetation is reminiscent of the one found in the Nordic countries (like in Sweden), that is to say a shade of dark green and brown. After some time to roll I stop on the road to see a break typical of the local tectonics. The fracture is perfectly visible and the zone feels the suffer testifying to a close volcanic activity. 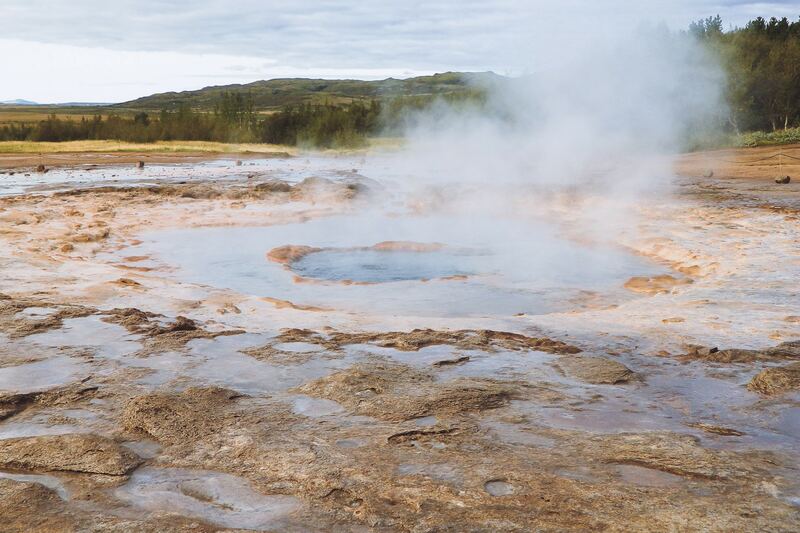 I then continue my route to the famous Geysir, the geyser to whom we owe the name of the phenomenon. We feel when arriving on the spot that the place is tourist but there are not too many people in this morning time. 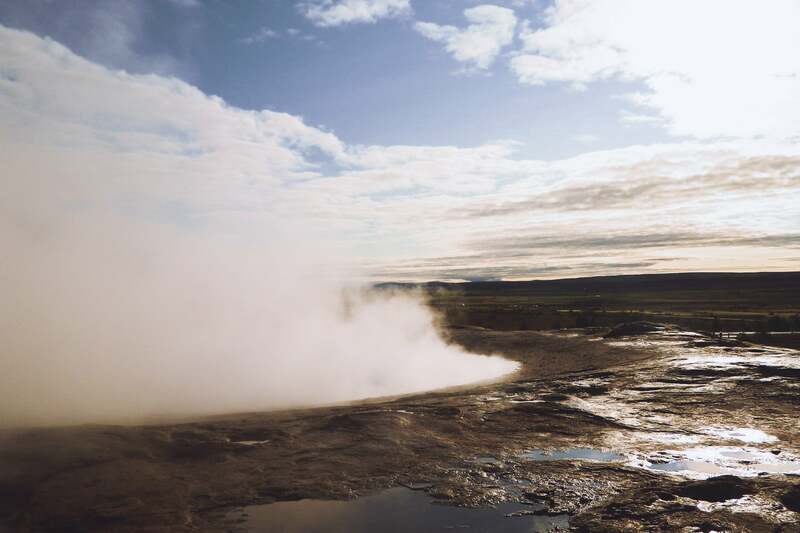 The area is experiencing intense geothermal activity: it smokes and it muddles everywhere. 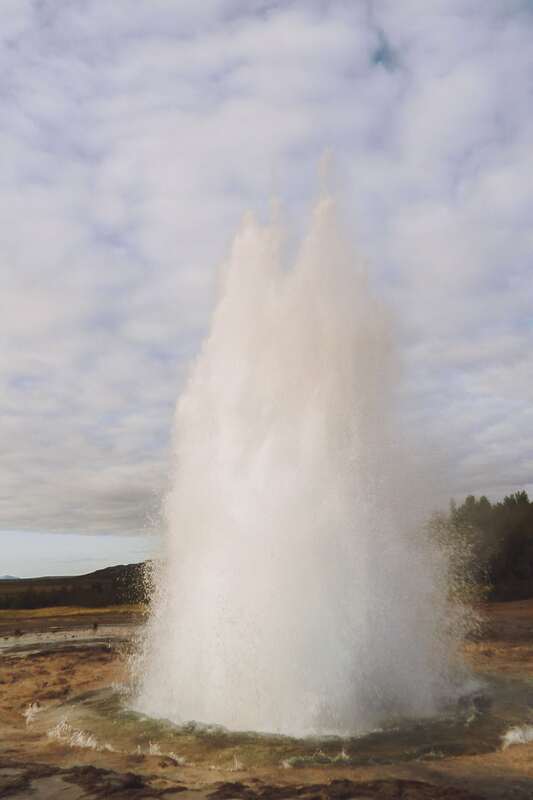 The highlight of the show was Strokkur, the last active geyser, in fact Geysir stopped its impressive “eruption” a few years ago. Having never seen any geysers before, I must admit that the show is impressive, especially the noise it makes when ejecting the water column. 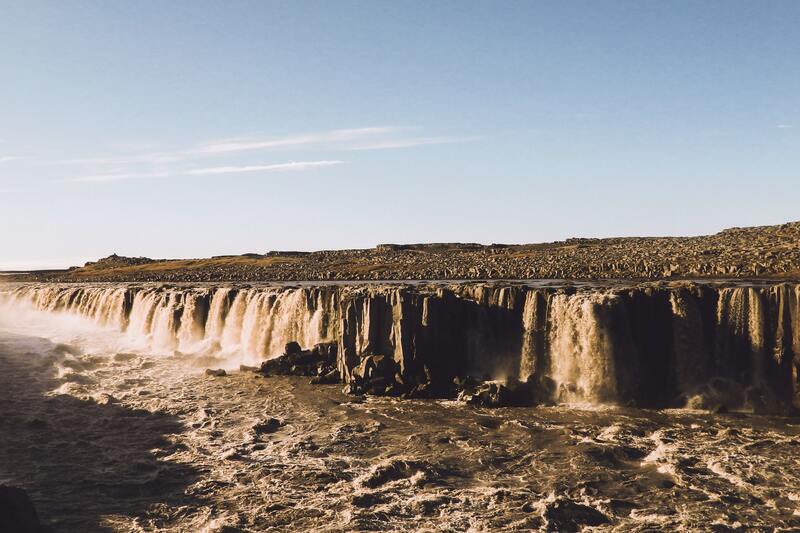 After a long time to admire Strokkur, I take the road to the beautiful waterfall of Gullfoss. 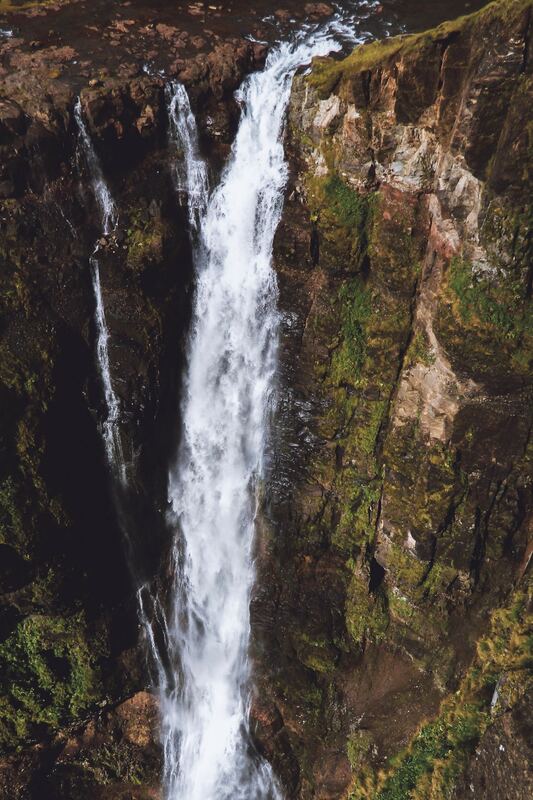 This waterfall is stunning especially by the feeling of power it releases. It is not necessarily very high but the flow of water that every second discharges is amazing. I make myself a good coffee right by the water to admire the show. 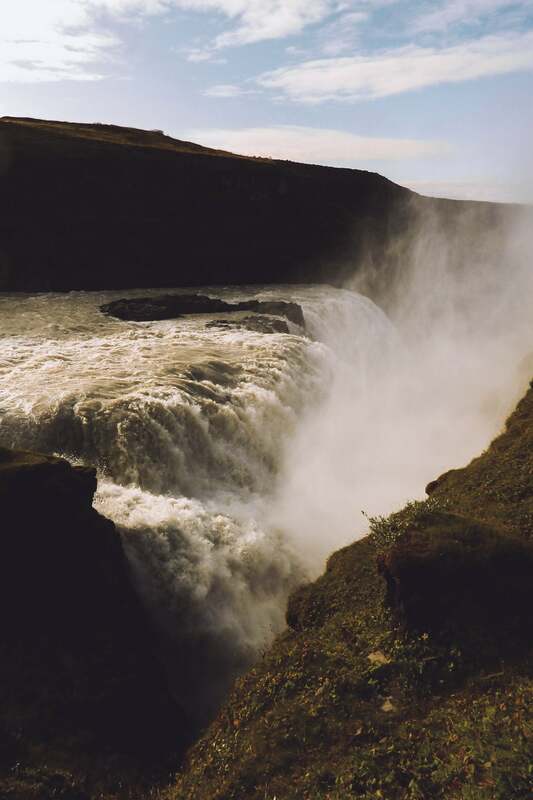 A little vocabulary: the suffix “foss” means the waterfall. 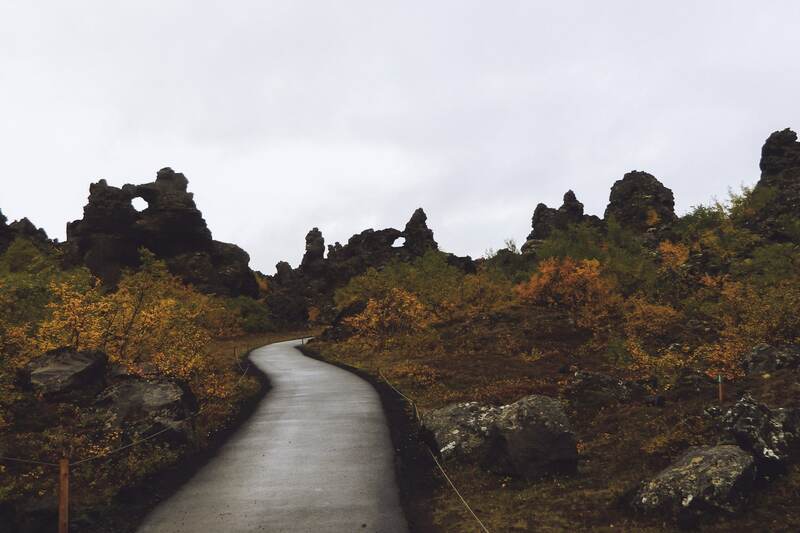 Once the coffee is finished, I turn to the Þingvellir. The site is located along Route 36. 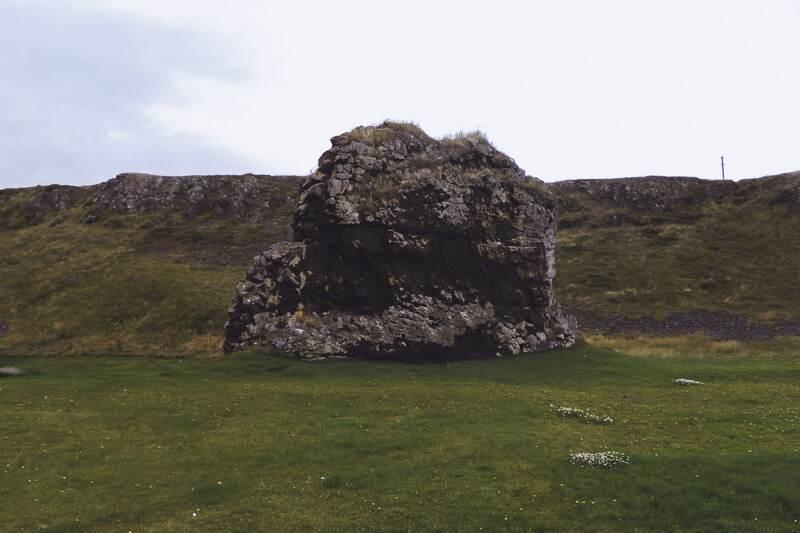 It is a very important place of Icelandic history because it is here that it is held for centuries of Þing ie the assembly. It is also a great place to observe the fracture of the rift and to dive in the crystal clear waters filtered by the rocks. So I take the time to stroll until the tourists agitate me and push me to continue the journey. 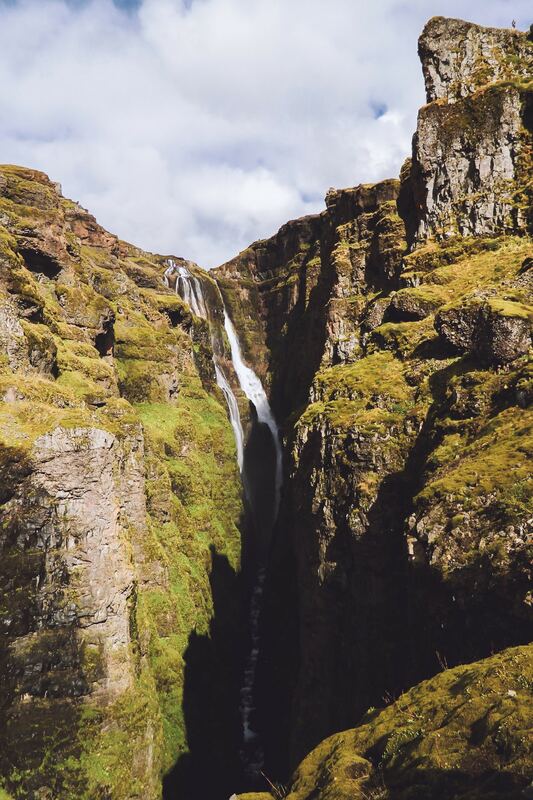 My route then takes me to the Glymur waterfall, one of the highest in Iceland. To get there you first have to follow the road 47 and then finish the way on foot by a small hike very nice even if it climbs hard at the end. 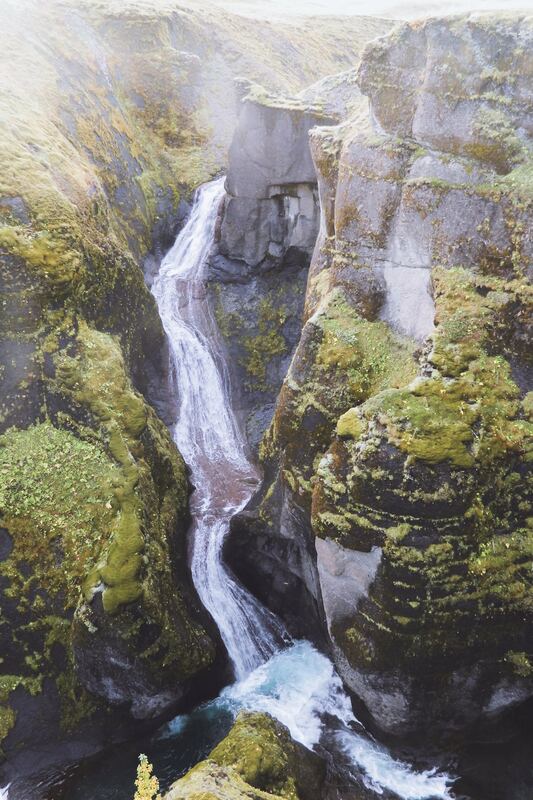 The waterfall is very beautiful, nestled between the cliffs and high of its 198m. Back in the car I take the road again and finally, I join the road 1 which will accompany me throughout the journey. I do not stay very long on it because I then fork on the 60 towards the fjords of the North West. I will stop not far from the road in a corner without charm to spend the night in the car. First good day although in hindsight I should have spent more time in Þingvellir I think. I have not slept badly in the car, better than I thought anyway. 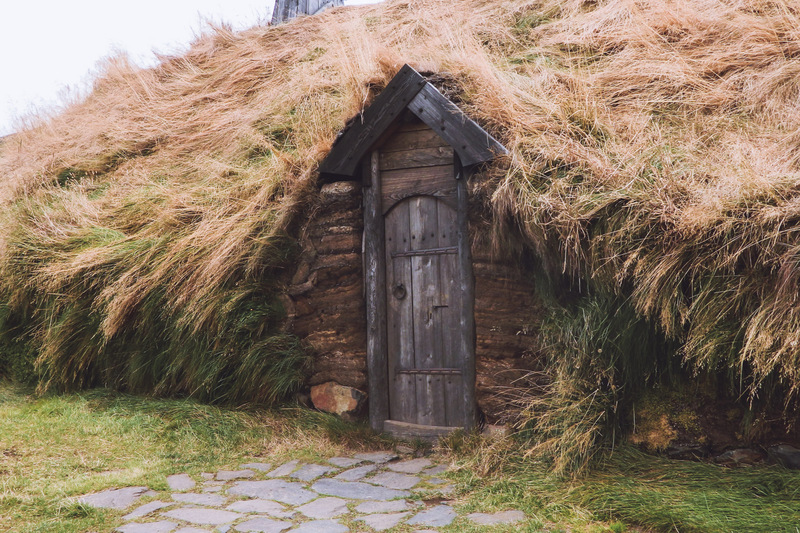 The first stop of the day will be a replica of the house of the Viking Eirik the Red, the first settler of Greenland according to the Sagas.It is a nice place to visit, full of history. I then continue on to Route 60. New stop after a few kilometers at Sælingsdalur. 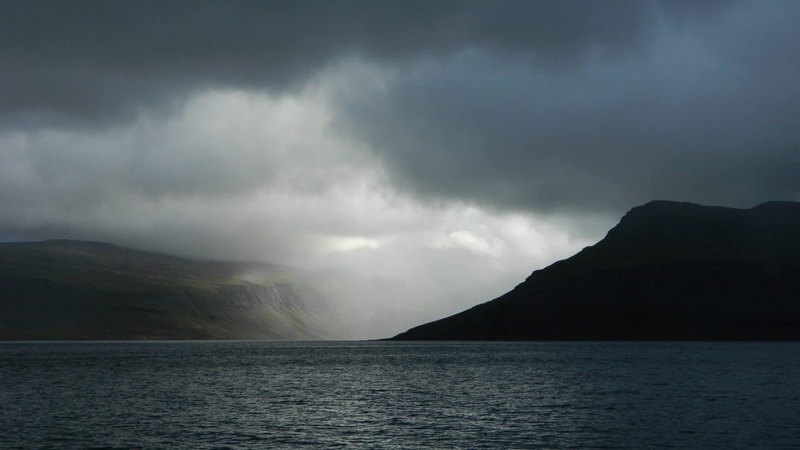 After this last stop I attack the heart of the subject of the North West Fjords because the road is no longer tarred. In Iceland, there is only the main road (the 1) and some adjacent secondary roads that are good. The rest of the roads are carrossable but with a small car is not ideal. So I go slow, not much more than 30km/h. At least I have time to enjoy the amazing scenery. There is hardly anyone on the road, the feeling of loneliness (in a positive way) gently sets in. In the morning the rain and the fog are still there. So I leave without seeing anything of the view, certainly beautiful of the place in good weather. The road is still so bad and I’m not moving very fast. Towards the end of the morning, the bad weather calms down a bit and the sun seems to want to break through; which finally arrives around noon thus offering a superb spectacle of rainbows, light shades and light absolutely superb. 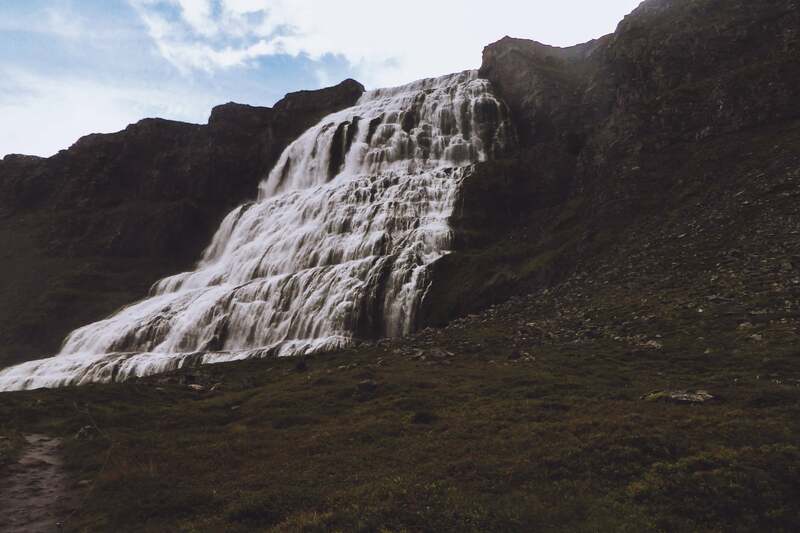 I then head for the Fjallfoss waterfall (also called Dyjandi). The road to get there passes through the mountains and I only meet one car for over an hour. The effects of light are still beautiful. 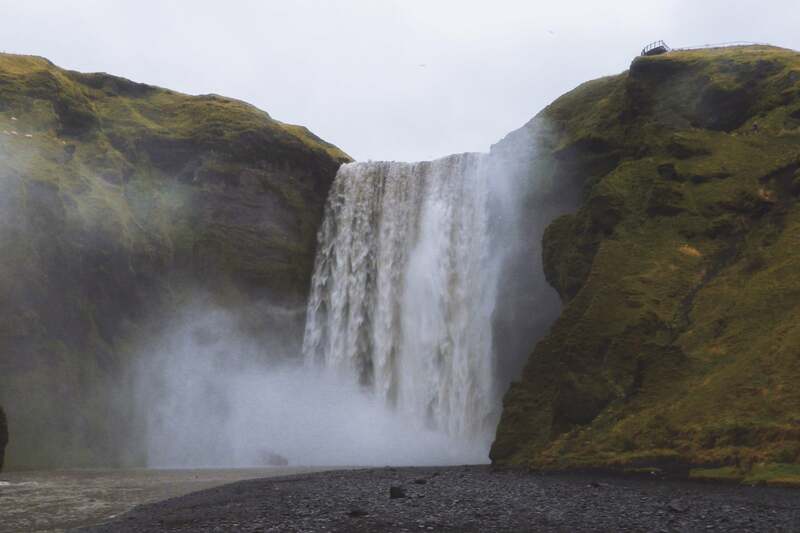 The waterfall is also impressive with 100m high and 30m wide. It looks like a veil on the mountain. 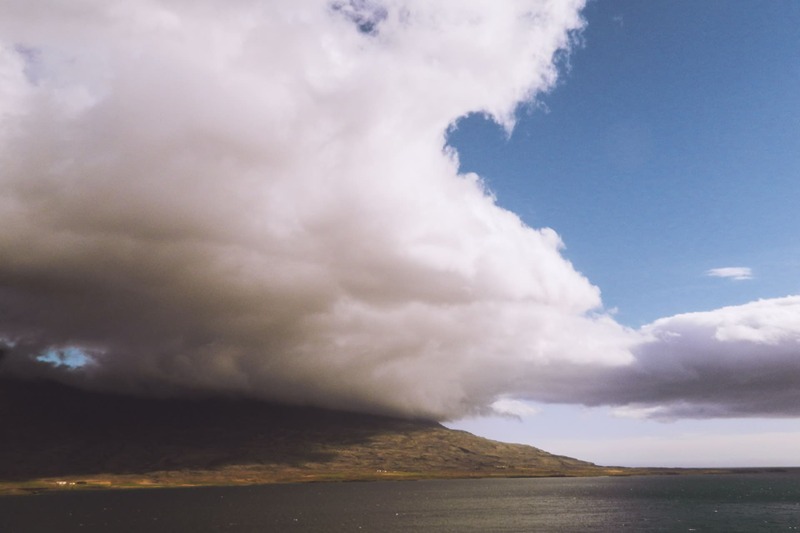 The road then takes me to Isafjorður. I stop there to eat hot (fries and a burger !!!) and also refuel and check that the car is fine. 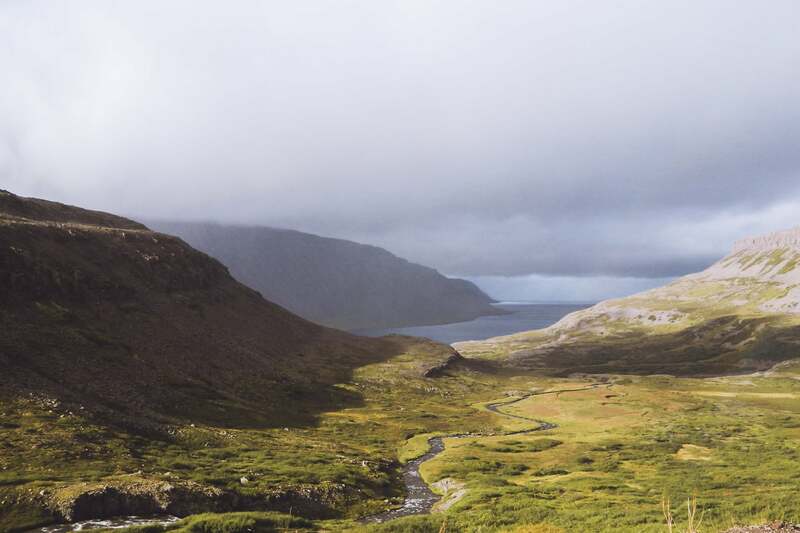 After this break I drive along the coast that undulates to the rhythm of the fjords. 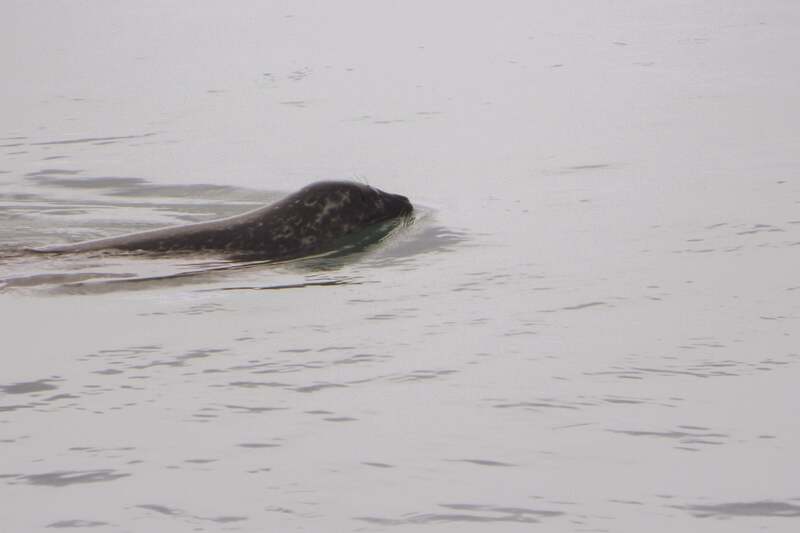 Further to observe the local fauna because a group of seals stays in the zone and by chance they are there at 50m. They keep their distance but they are easy to see. It is time to find a place for the night, which will be done at the point of Ogurnes. 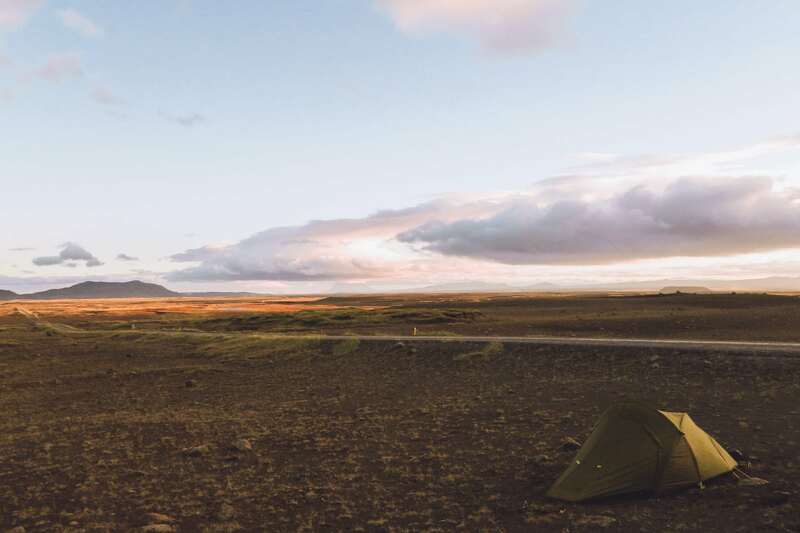 I set up the camp not very far from the road but given the passage, close to zero, I will not be bothered. Last spectacle of a day, there, is in the middle of the fjord, a whale whose I can see the breath, too far for the camera but very nice nevertheless. A good little night lulled by the sound of the surf and 0 cars. The mornings are cool in the beginning of September. I take the road again to get out of the fjords. 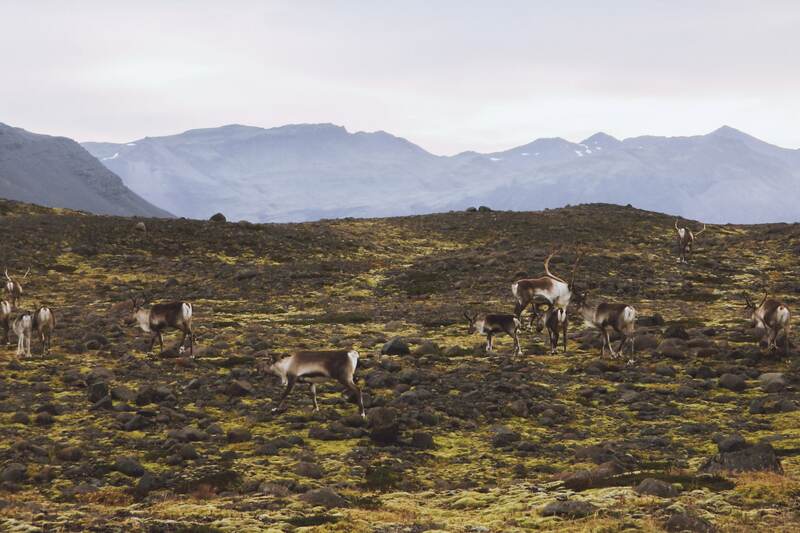 Before reaching Holmavik, I go through a kind of plateau, totally desolate and rocky. This emptyness is beautiful. Holmavik is not very interesting as a city. I just do a little detour to go to a holy source but it’s not very impressive. 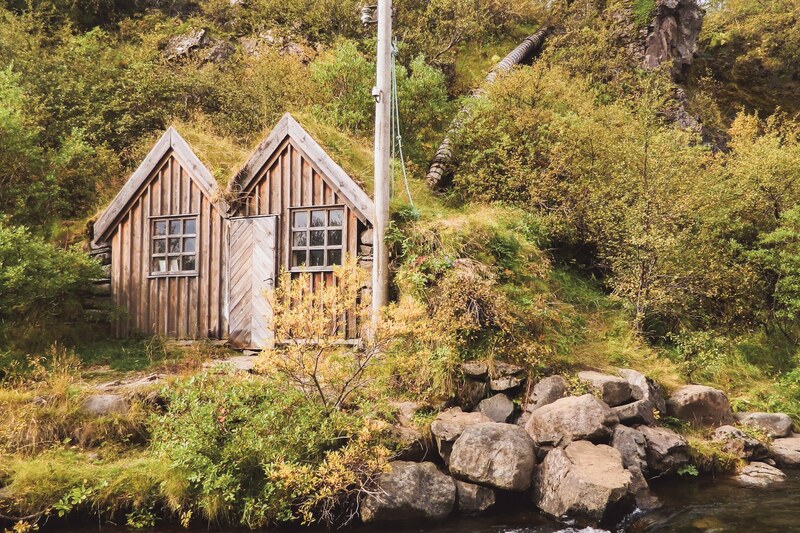 I read in my guide that in a neighboring town at Drangsnes there is a petrified troll and especially a free public bath. I go there especially after these 4 days without showers … The city is very small but they have installed on the waterfront three small pools fed by a hot spring certainly captured upstream. I dive after taking a shower. What a pleasure to be in a water at 35 ° C facing the sea. I rest and take advantage of the moment. After this well deserved bath I will see Kerling the petrified troll. Today it is a big rock laid there, it is quite surprising. 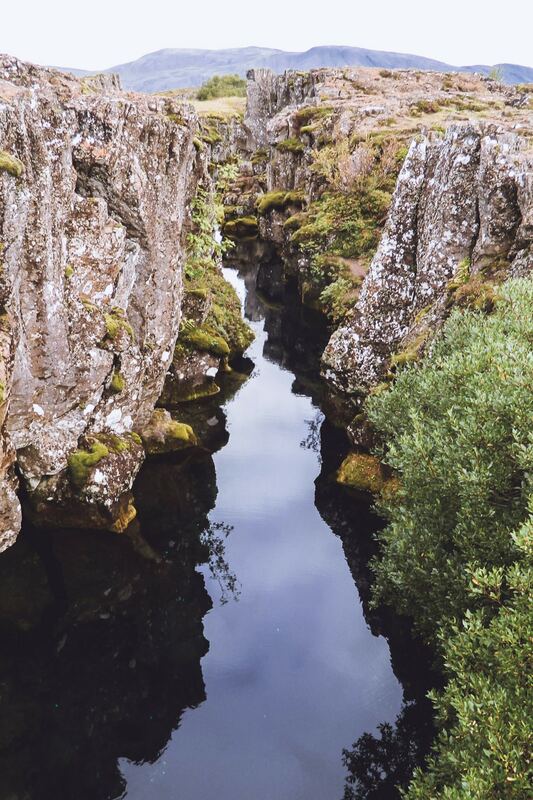 From memory the legend says that three trolls wanted to dig a channel to separate the fjords of the northwest of Iceland. Busy with their work, they did not see the sun rise and were petrified on the spot. According to legend, still, the island of Grimsey facing Kerling would be her bull also petrified. The other two trolls are on the other side of the fjord, and they will be seen later. Once this”trolly” break carried out I take the road and rejoin the road 1 after a meal break facing the sea. The Fjords of the North West took me three days but it was worth it. The isolation of the place is superb, especially in this period because there really are not many people to cross. I will also make a small hook to see the two petrified trolls on this side of the fjord. Tonight I will land at Kolufoss Falls. It is raining so I take my meal in the rain but I will make the night in the car. Day 6 : Geocaching and "lost road"
Already 1700km … not bad. Today I do not have a big program, my main goal is to make a lost geocache at the end of a road in Skagafjord. 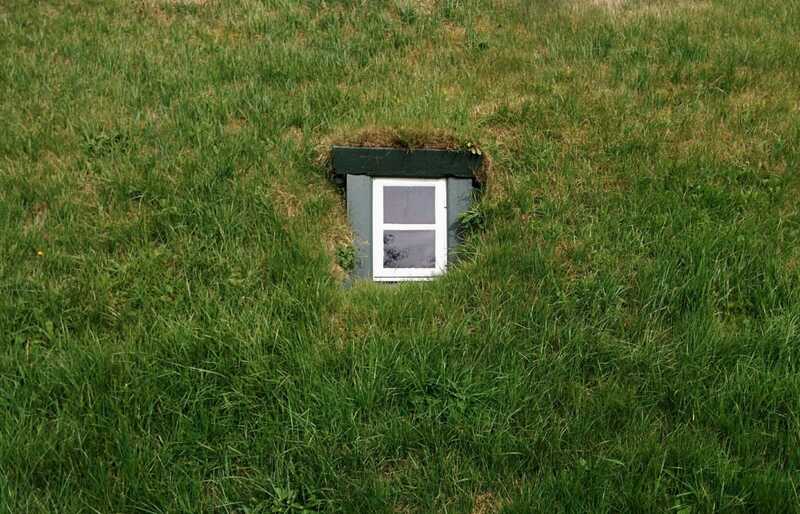 The principle of Geocaching is simple: people (anyone) will hide small boxes in interesting places and simply inform their GPS coordinates on the site. The goal is not so much to find the box as it is to discover something, a place, a bit of history. Almost all the stops I make in Iceland have been motivated by a geocache so far. The beginning of the road for the geocache is rather good and it goes well. By cons quickly I find myself on a small road, stony and not wide at all. Impossible to turn around … I walk almost at a pace. I sometimes have to get out of the car to remove the stones on the road … I admit that at one point I wonder a little what I do there. After 2 hours (not easy) I finally arrive in the small abandoned farm. 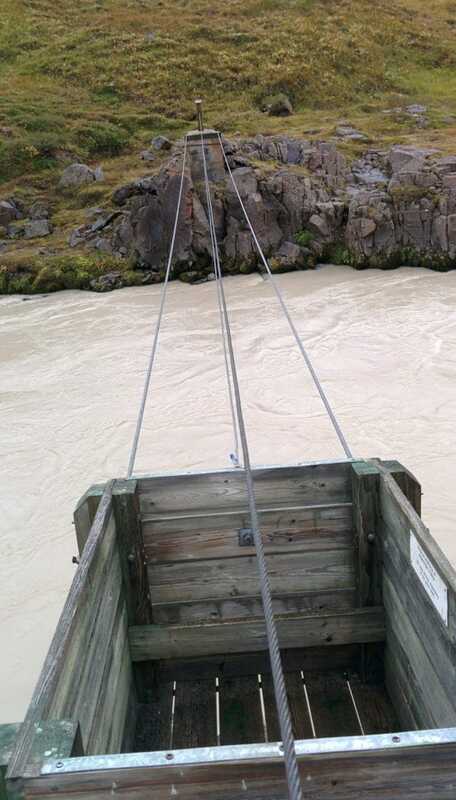 From there you have to descend towards the river and then cross by a kind of wooden crate suspended by three cables over the raging river … Not reassuring but it goes well. The geocache is finally there! 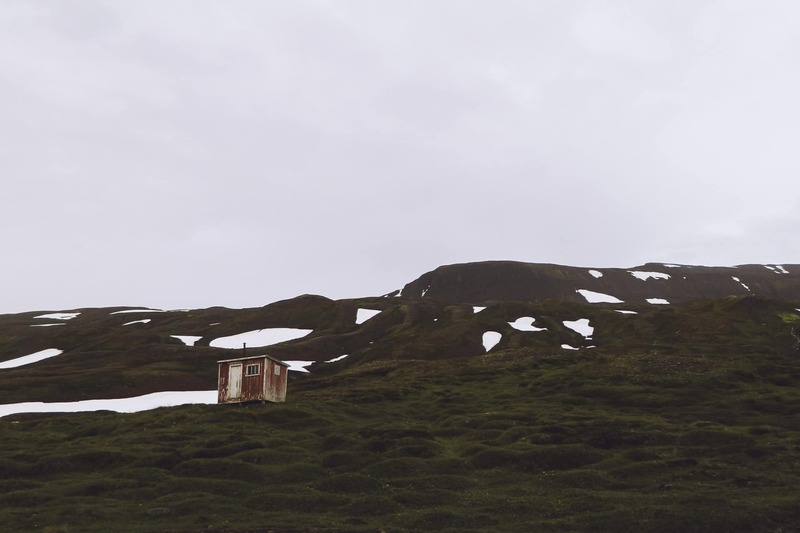 For the rest of the day I will go back on Route 1, which will take me a long time from the geocache, and then take on Route 76 in the direction of Siglufjorður, a pretty little village with colorful houses. 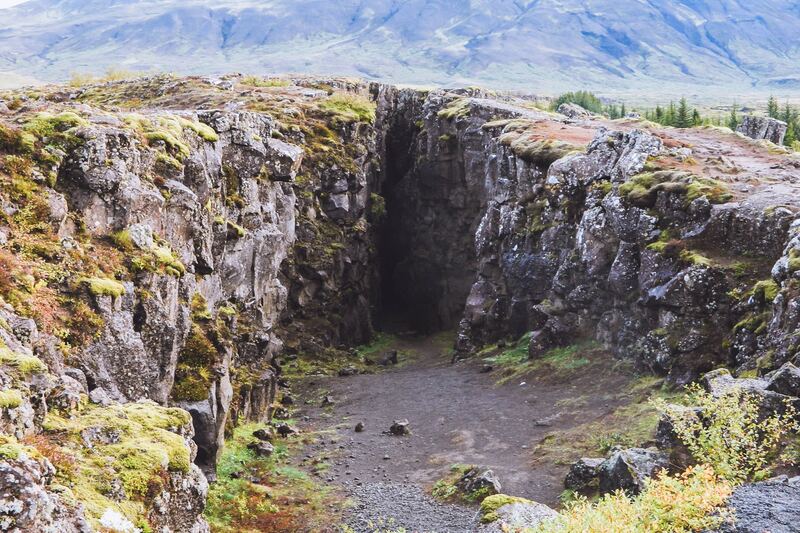 Today there is a tunnel connecting this city to Olafsfjorður but I prefer to use the old mountain road (802). I will stop for the night at the level of the tiny shelter. The place is beautiful even under the clouds. I will calmly enjoy the late evening admiring the scenery and reading. Not very busy day in perspective. I am about halfway through my journey and I need a good shower, a good meal and a bit of rest. Heading to Akureyri, the second biggest Icelandic settlement with 17,000 inhabitants. Before that I have to join Route 1 but as it is still early I decide to go back my steps and go up for a ride to the small lake of Hraunsvatn. To do this, you have to park at a small farm not far from Route 1. You then attack the climbing route by a cattle barrier (which must be closed of course). The climb is nice especially since it is sunny, on the other hand there is a strong wind especially at the level of the lake. The site is beautiful, nestled between small peaks. The lake is known for salmonid fishing. I make a little geocache and I go down. I then take the road to Akureyri. I spend the night at the “Akureyri BackpackersYouth hostel” in the small street of Hafnarstraeti. The hostel is nice and well kept. In the afternoon I take a walk around town but there was nothing very exciting to see (I did not explore very far). In the evening I will enjoy to be in town to eat a good meal, warm and cooked! Despite some snoring the night will not have been so bad. In the morning I have lunch with Pascal, the guy from Quebec. 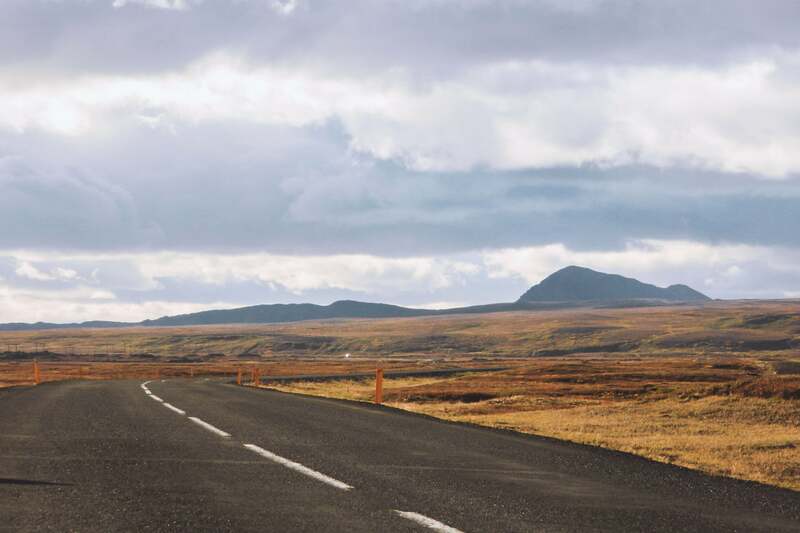 I then take the road towards the west and Myvatn which is a rather dense region in volcanic activity. 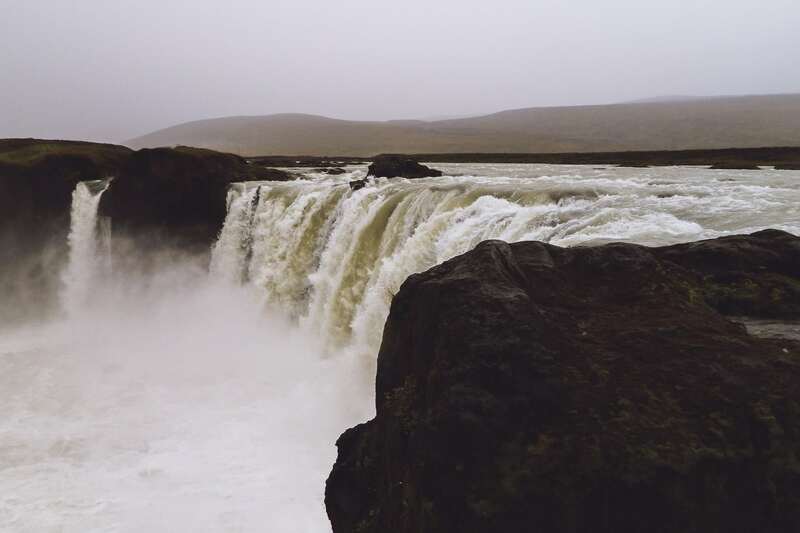 On the way I stop at Godafoss, historical place because here, according to legend, the pagan icons were thrown to the waves when Iceland decided to be Christianized. I then bypass the Myvatn by the south, it is a large lake to the east of which one already sees some interesting structures. Myvatn means “Lake of Flies”, in fact in summer the lake is covered with clouds of flies that can be a real pain in the a**. There are much less in September but these are annoying because attracted by CO2 produced by mouth, nostrils and eyes. 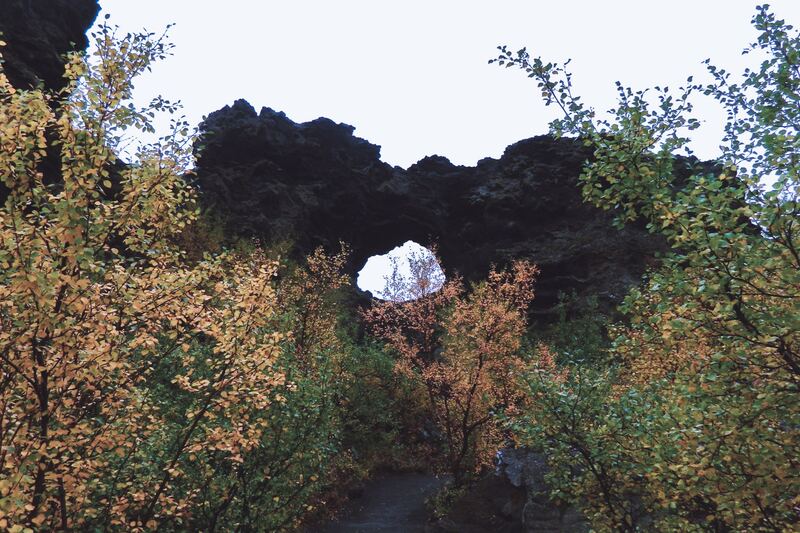 I begin my visits around Myvatn by Dimmuborgir. 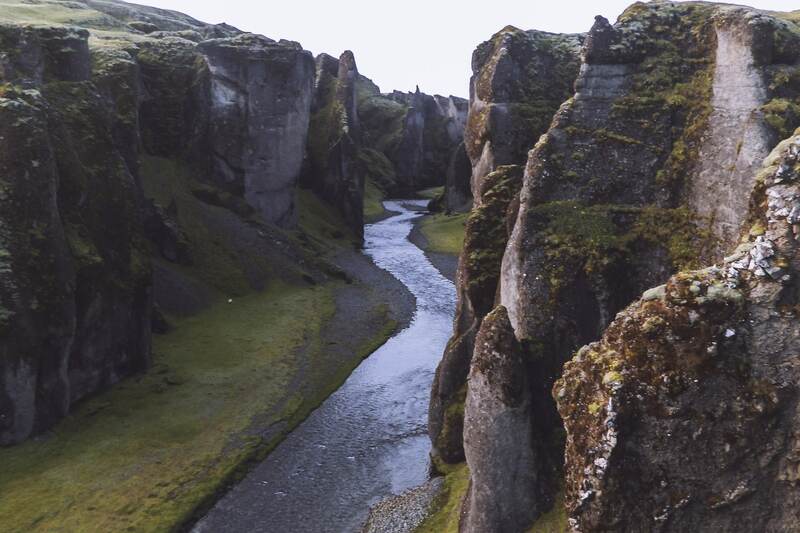 This amazing place is a set of basaltic structures with extravagant forms and forming a true labyrinth. 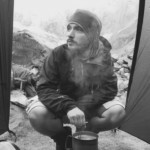 I visit with Stefie, the German backpacker of the previous day that I met in the parking lot. 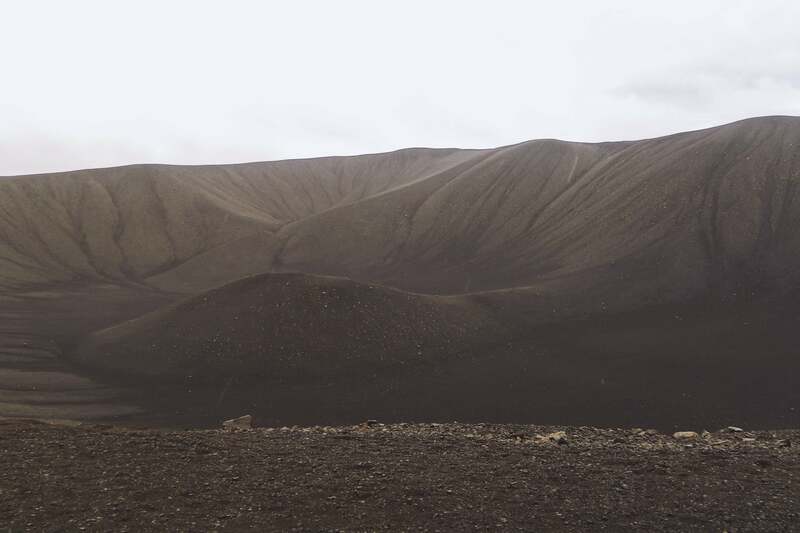 We then continue towards Hverfell, an immense cone of ashes and peebbles of obviously volcanic origin. It is gray at the end of the morning, so it gives the whole impression of Mordor or Lunar landscape. The view from the top is beautiful and the whole is impressive. For the descent we make this full slope, it is more fun and faster. We then walk to a geothermal cave, Grjotgja. The cave is nestled in a steaming crack. On returning from the cave, Stefie continues the road on his side. On my side I head for the Krafla. The sun is finally back and it changes everything! I roll the windows wide open, the music to the max! The landscapes change it is more and more beautiful. 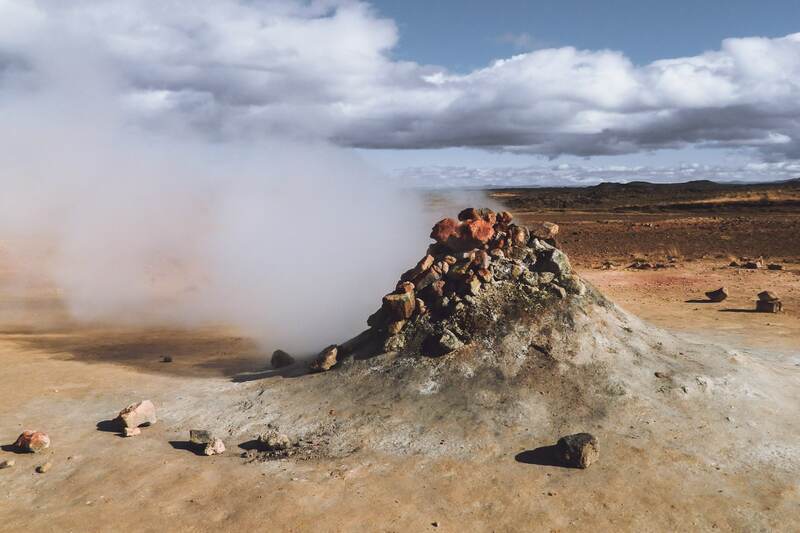 After a big hill, I stop at Hverir which is a large area with rich volcanic activity: fumaroles, boiling baths and a good smell of sulfur. It’s very beautiful, the colors are crazy. 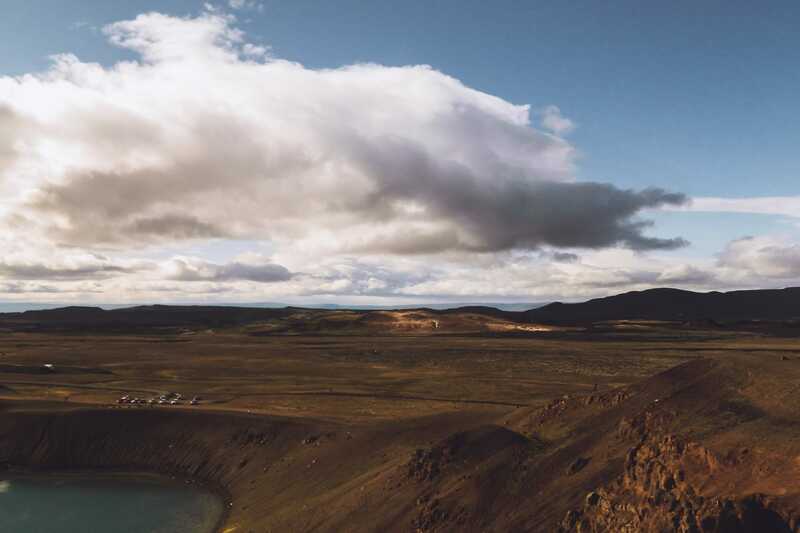 I continue the road a few kilometers before turning on the left towards Krafla, a volcano of 818m of altitude know to have a rich activity its last eruption dates from 1984. 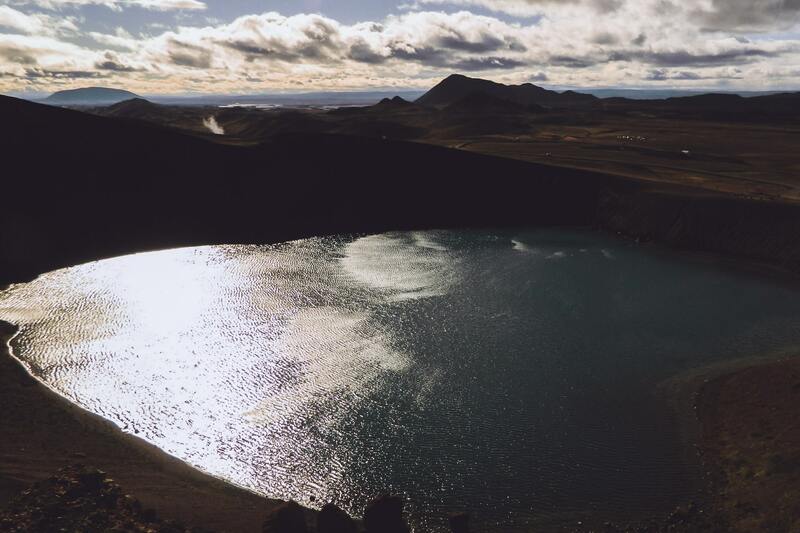 The place is very windy today, it adds to the majesty of nature here with the crater and its lake of unrealistic blue waters. It’s beautiful. I then walk through a lava filed that is just a few years old. Life slowly resumes in the middle of the black rocks. There are not many people, it’s beautiful, all this invites to stroll. After the swiftly swallowed kilometers, I turn left onto Route 864 which will take me to Detifoss. But for the time being I’m going to find a little place for the night because it is getting late and I do not move fast on this small gravel road. I am back on the road quickly because it is cool this morning, so I will have breakfast further. I arrived at Detifoss after 40min of road a bit difficult because very rippled and therefore uncomfortable. 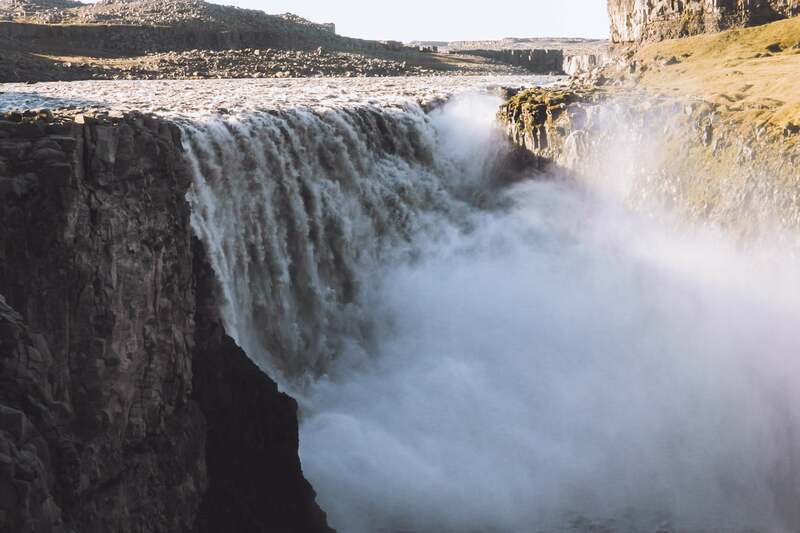 The intro scene of the movie Prometheus was shot at Detifoss. 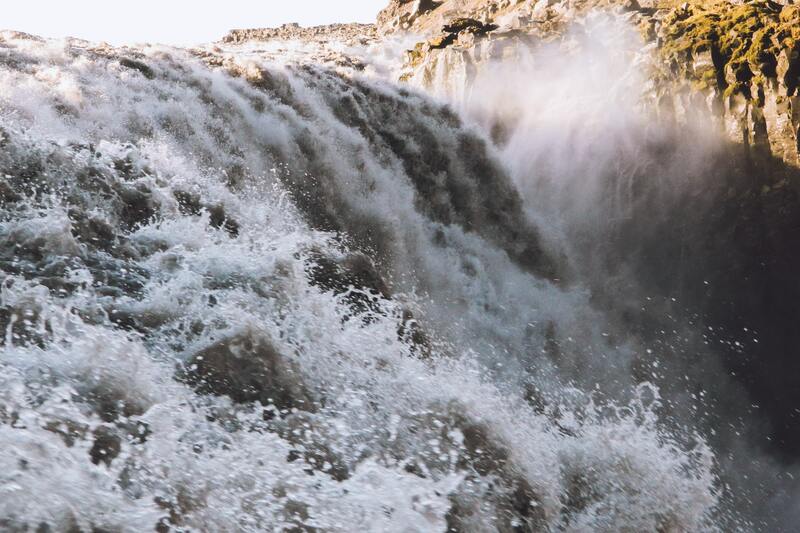 I then walk up the Jökulsá river to Fjöllum towards the Selfoss waterfall upstream. 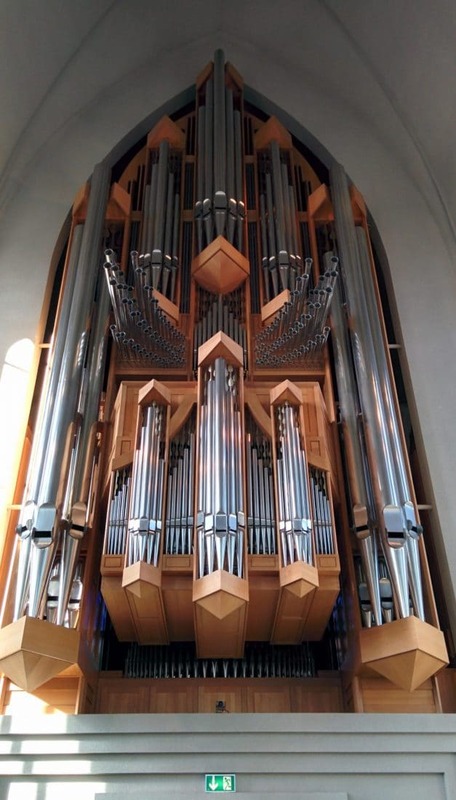 Also impressive by its width. 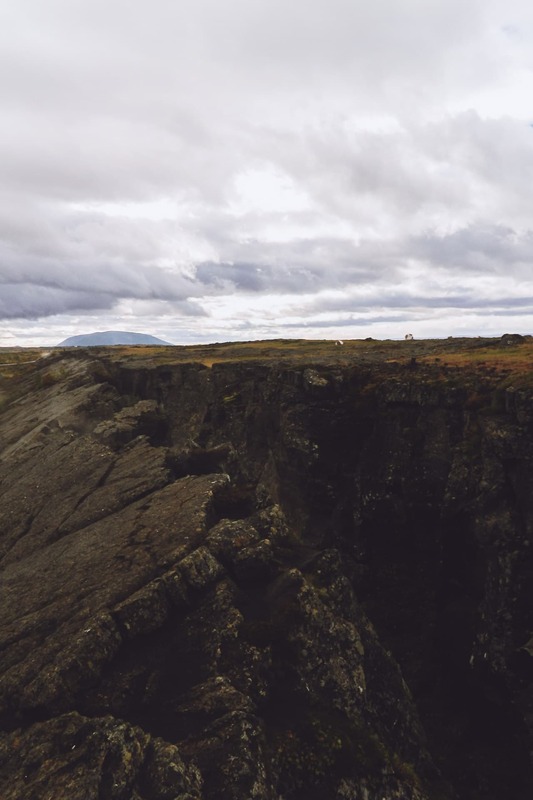 After returning to Detifoss, I enjoy a bit the show and do a geocache in the area, I then go back to the parking lot to have a coffee and breakfast. Then back to road 1. The sun is shining, the sky is blue and the road still wavy. 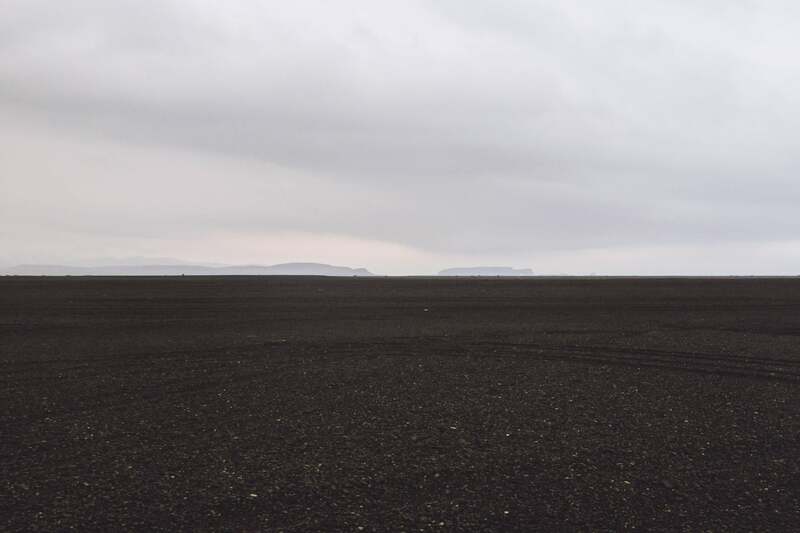 The ground is black ash, which gives a moon face to the landscape. In the distance a cloud draws my eyes, looking carefully it is the plume of smoke of the eruption of Bárðarbunga which was going on when I was there. Despite the distance one can see it. I run full east then. The landscapes, still amazing, pass too quickly. I arrive at Egilsstaðir but the city is very disappointing and I only stop for shopping and gas. 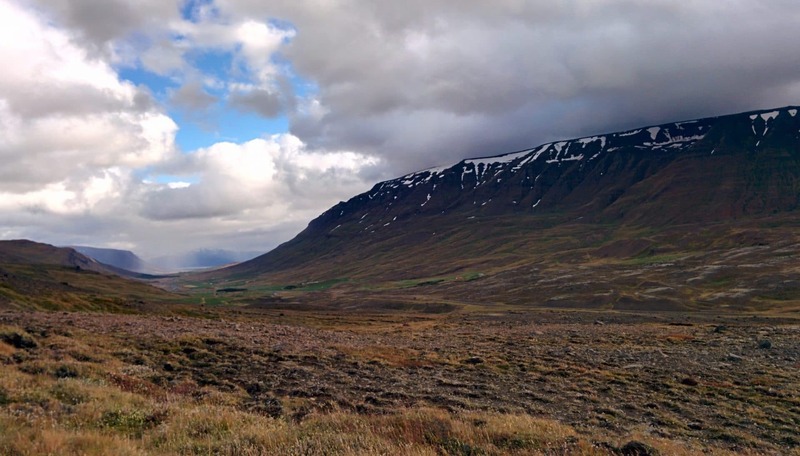 I then go on road 93 which leads me to Seydisfjordur. The descent is particularly interesting and fun by car. The small village is nestled at the bottom of a fjord, it’s nice. I stop at the little hostel / restaurant for a drink in the sun. Half turn then and I resume direction of the 1 but not for very long because I obliged towards the 931 in the idea to climb on the plateau of Snaefell. 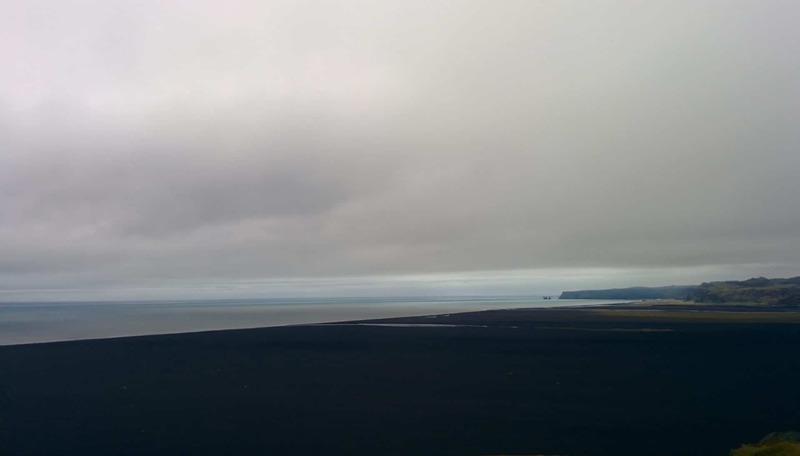 The view is beautiful on the height coming from Egilsstaðir but we see a kind of grayish fog that is due to the eruption of the Bárðarbunga. The climb on the plateau, by road 910, is impressive. 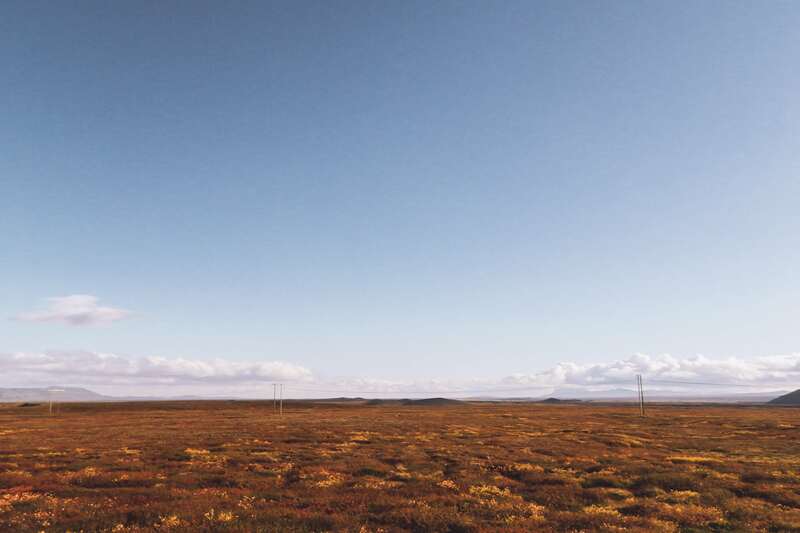 Above, total change of atmosphere: we find ourselves in a kind of tundra as far as the eye can see. 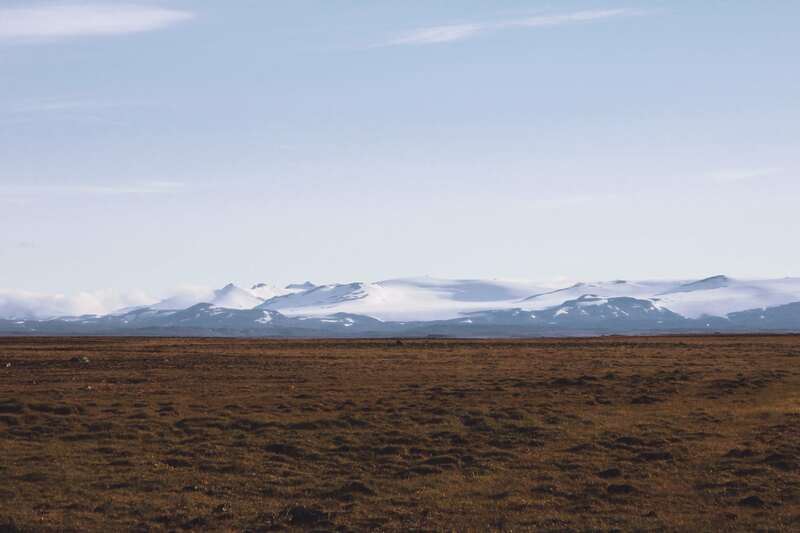 In the distance the Snaefell, highest point of Iceland with 1833m, and the Vatnajökull also. 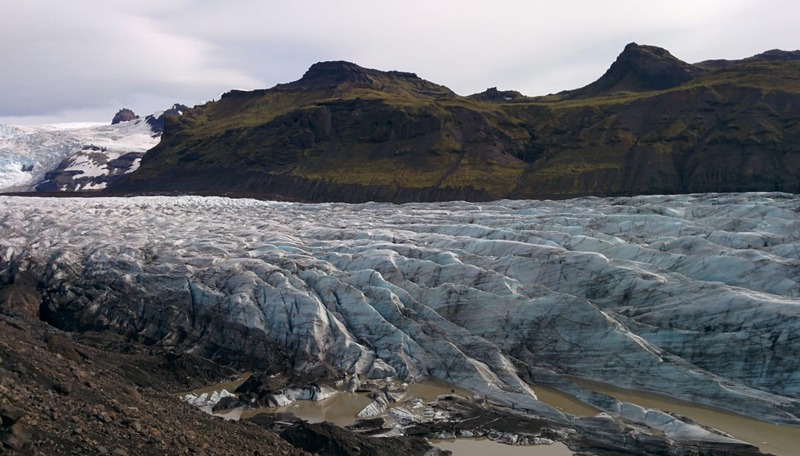 The Vatnajökull is a gigantic glacier that covers 8% of Iceland, almost the surface of Corsica in comparison. 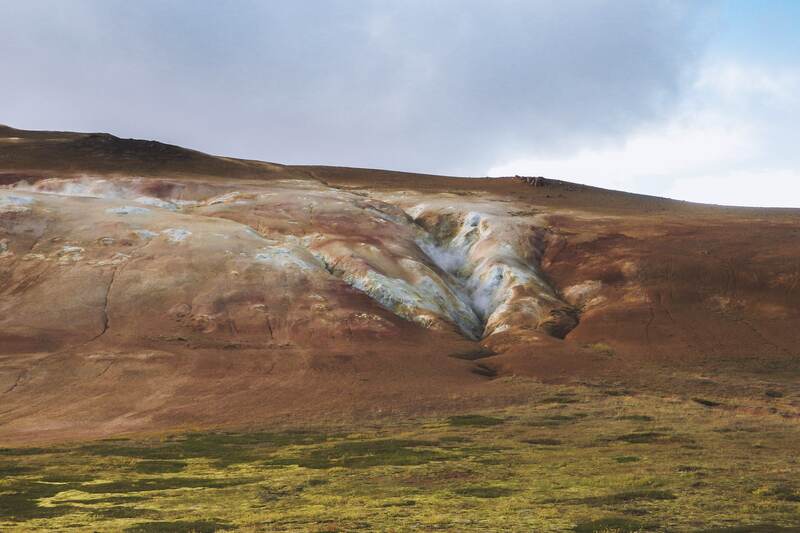 It can reach 1000m thick, it contains several volcanoes within it, including some in activity. For the evening I find myself a beautiful place with a great view to set the tent. The glacier, not far away, is cooling the air and there is a lot of wind. 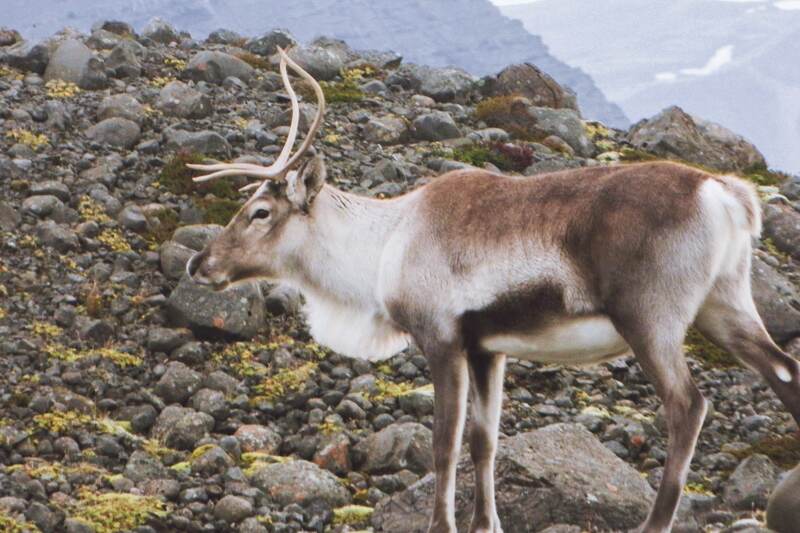 There are normally a lot of reindeers in this area but I have not seen them yet … maybe tomorrow. In the night, I go out to see if there is no aurora (as almost every night), no aurora but in the distance I see clouds all red, despite the night, due to the direction of them, I think it was the reflection of the light emitted by the lava of the eruption of the volcano on the clouds. The impression was singular. Cold night! But it was Ok. Light program of today. So I take my time in the morning, first I go to see the hydroelectric dam not far from where I camped. Half turn then, on the way I do not drive fast to try to see reindeers but they are not here…. At the descent I witness a nice phenomenon : there is so much wind that a waterfall usually hung on the wall climbs towards the sky … not trivial …. I then drive south. Rather than following only Route 1, I take the 939 which passes through the mountain and is much nicer. The descent towards the coast is beautiful. The weather is nice even if it’s a bit cloudy on the shore, so it creates very nice light effects. 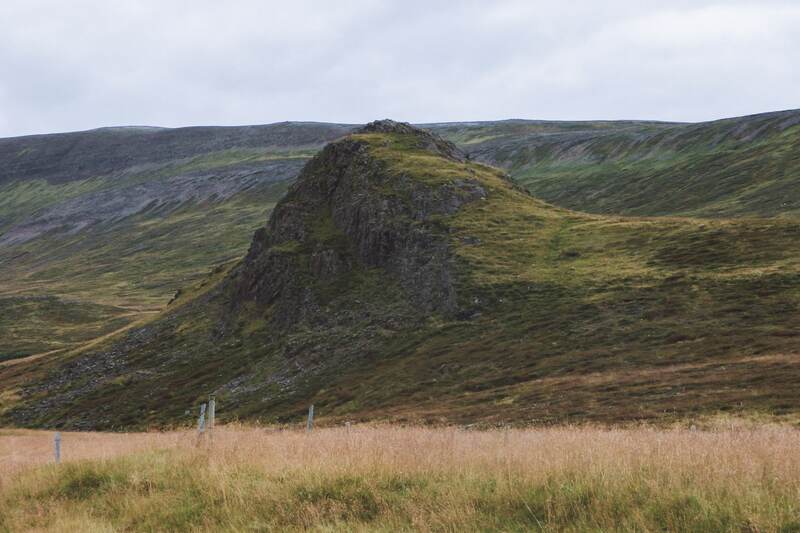 After a meal break in the village of Djupivogur, I continue on route 1 towards Hofn. I pass quickly without taking too much time. Time flies and it is already time to find a place to sleep (I mainly drove today). Task arduous tonight because few places seem nice enough. 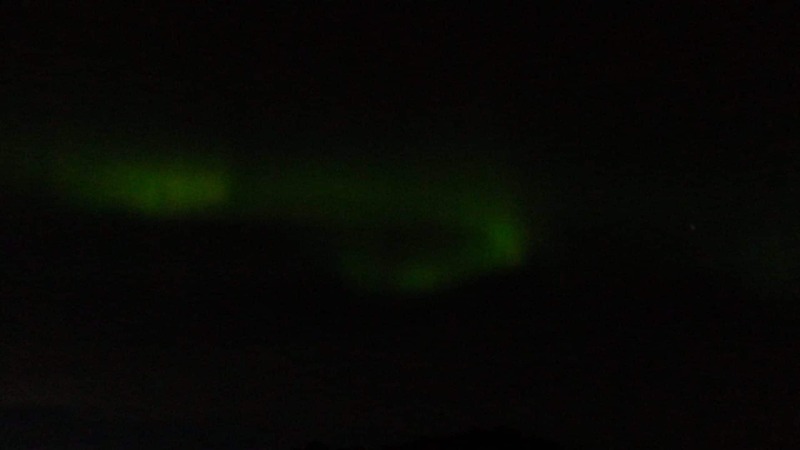 In the evening after having booked I take a look outside and there Ô miracle an AURORA !! It is quite covered and the aurora is not very strong but that is beautiful! 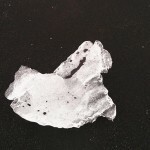 I try the picture below but the rendering is not crazy … it will have been a beautiful gift anyway. 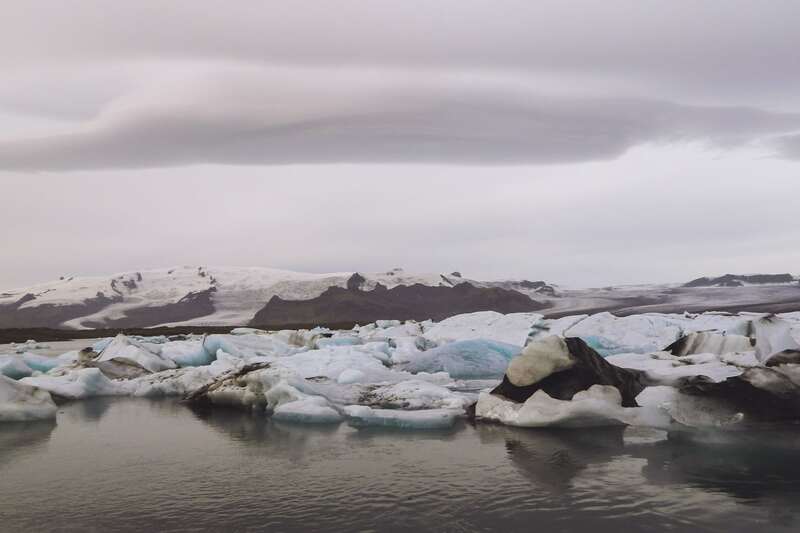 Today’s busy day will begin with the well-known Jokulsarlon. On the road that leads me to Route 1, I have the wonderful surprise of falling on a herd of reindeer. 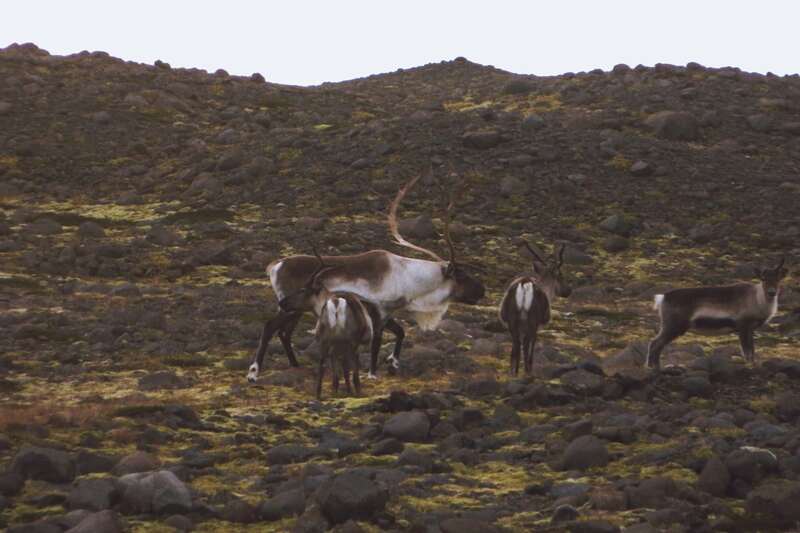 There must be about twenty animals and a superb male with impressive antlers. I enjoy a little while watching them grazing. The road to Jokulsarlon is short. I arrive on site where there are already a few people. The place is beautiful, the huge glacier flows into a large lake where it melts and then flows into the sea. 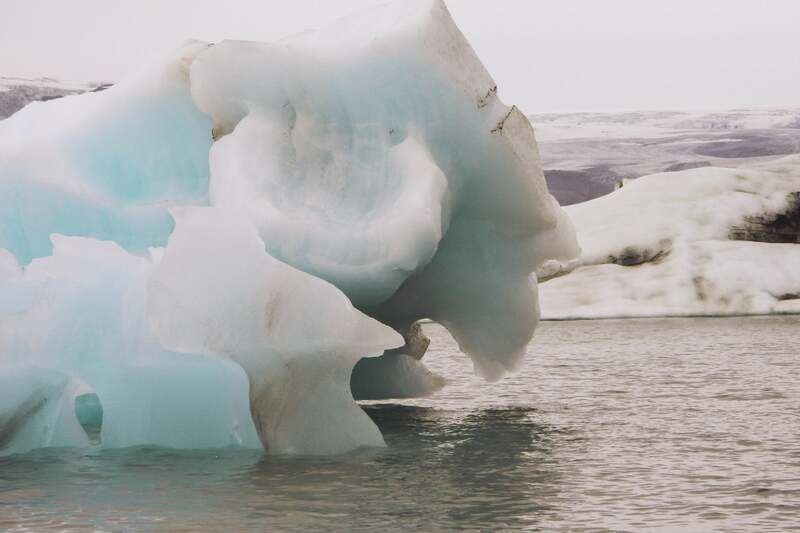 As the glacier breaks as it arrives in the lake it is filled with blue and gray icebergs. It is very beautiful. 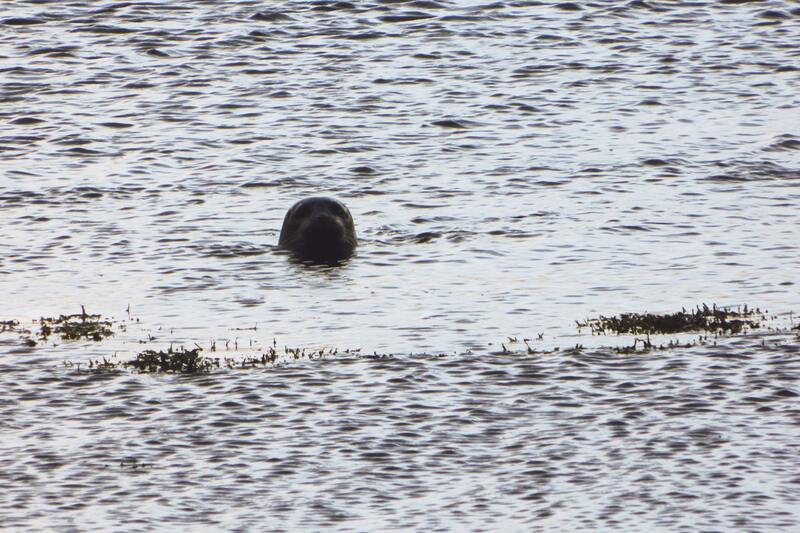 To top it all, seals live here and let themselves be approached. 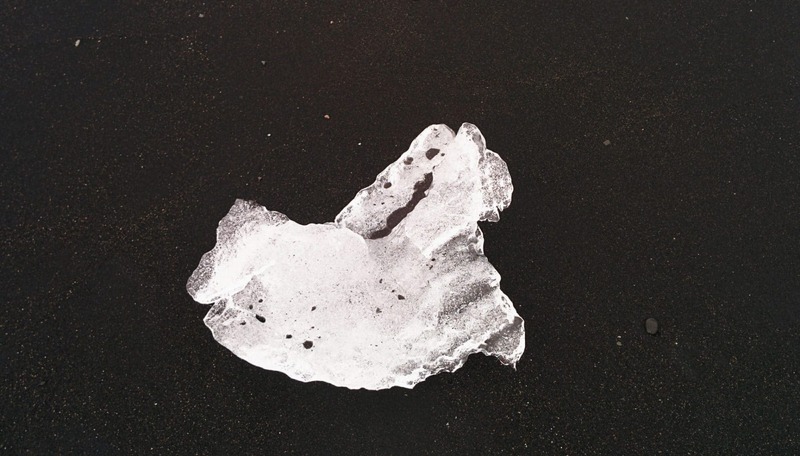 On the black sand beach, the icebergs run aground, giving striking contrasts. This place has been filming many films including Lara Croft and James Bond Tomorrow Never dies. After Jokulsarlon, I take the road again and stop at a glacier to make a geocache. 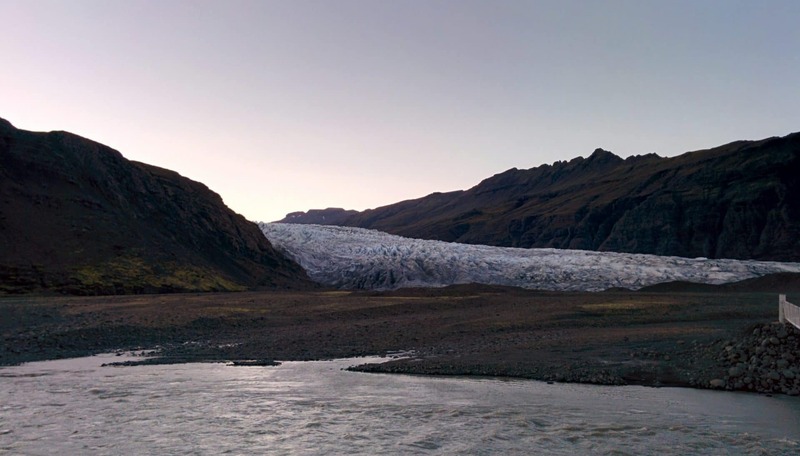 A scene of Batman begins was filmed near this glacier. I then continue to another hidden geocache next to a beautiful church with a roof of vegetal. Direction Skaftafell. 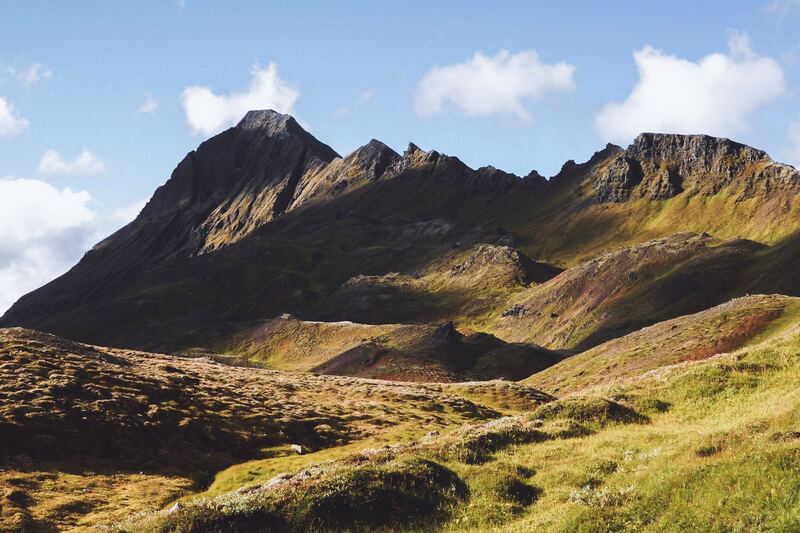 Skaftafell is a national park offering plenty of hike possibilities and activity. With hindsight I should have spent a whole day there instead of few hours. 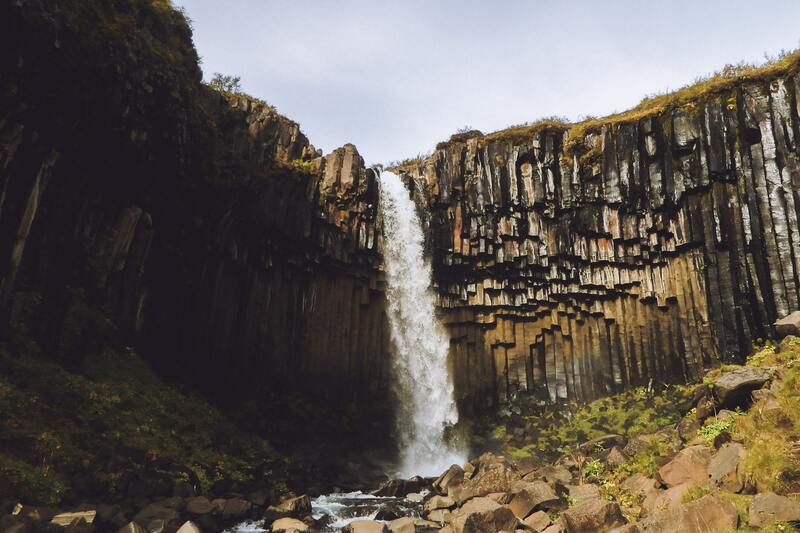 I decide to carry out the small hike that leads to the Svartifoss waterfall. 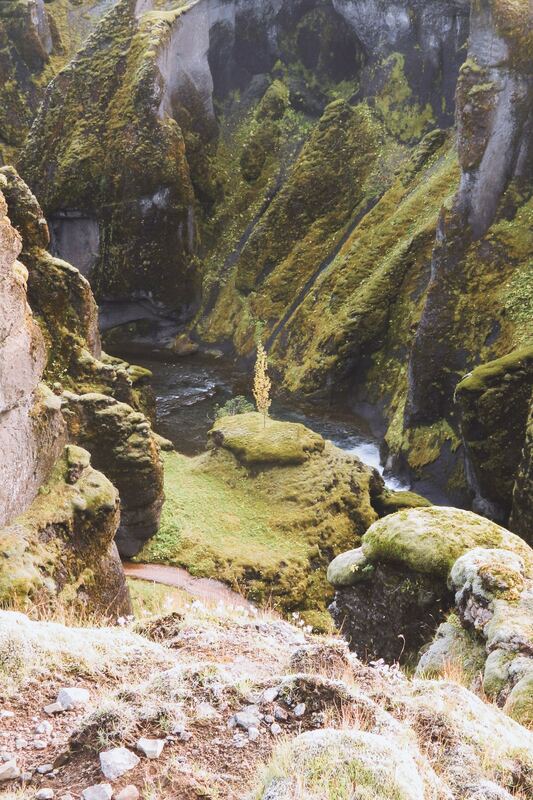 There are trees, which is relatively rare in Iceland. The path is nice and easy. The superb cascade: it is a horseshoe cliff made up of basaltic organs. It is very beautiful. 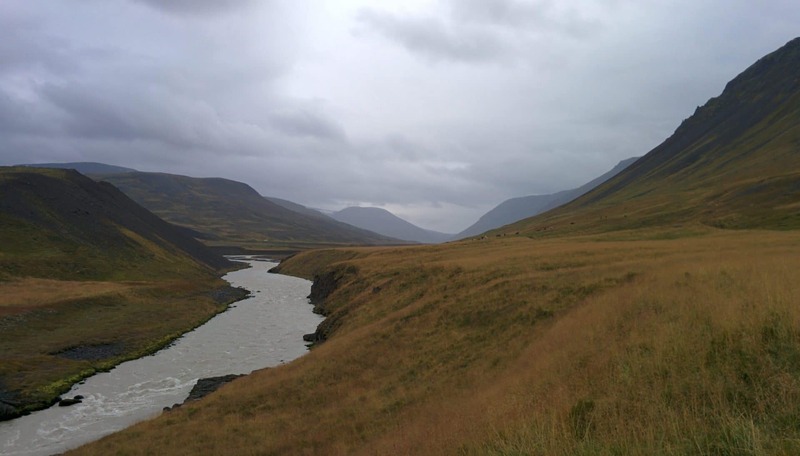 I should have stayed a bit longer in the Skaftafell but I continued my route to the Sandar. The Sandar, those are huge expanses of black sand that are created during eruptions. 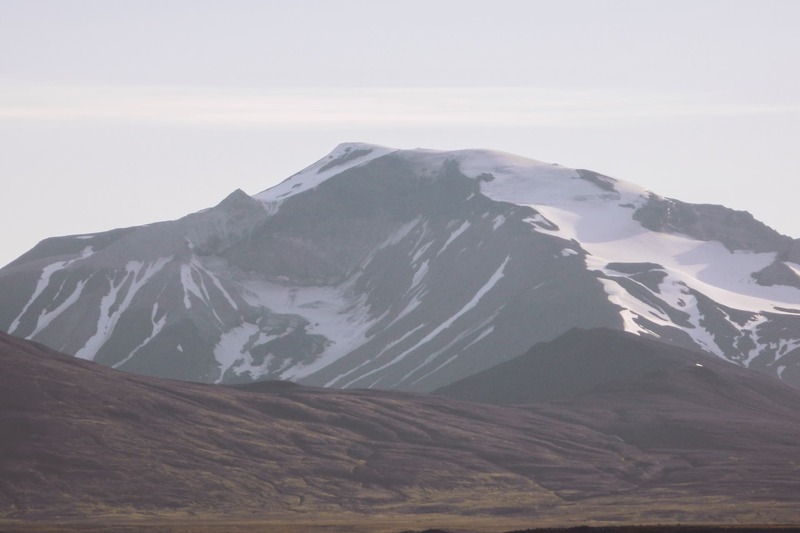 The volcanoes melt the ice, especially the Vatnajokull, creating enormous mudslides loaded with rocks and devastating everything in its path. 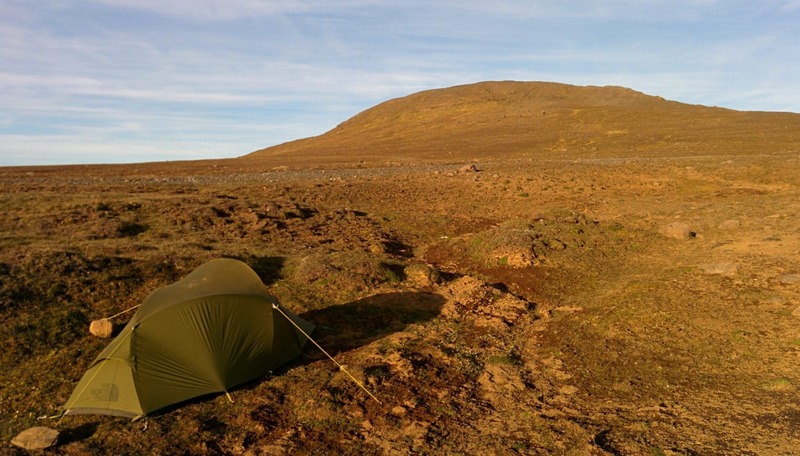 For the night I head towards Fjaðargljufur. 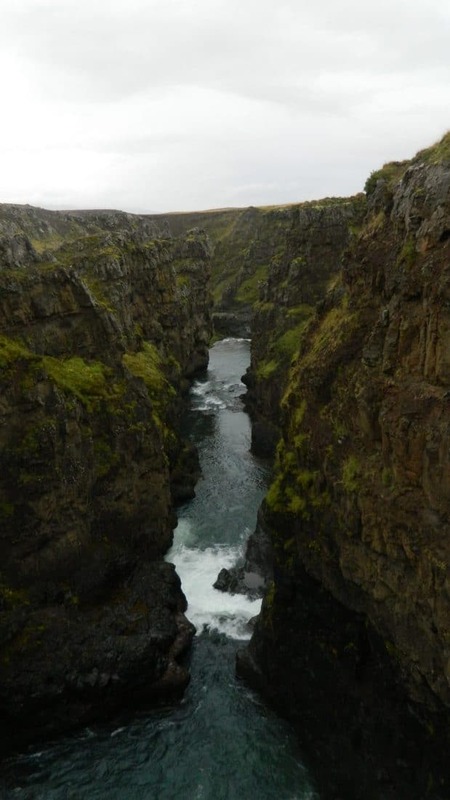 It is a 2km canyon, the walls are vertical with the river at the bottom. The greens are impressive, with the black sandur at the bottom it’s beautiful. 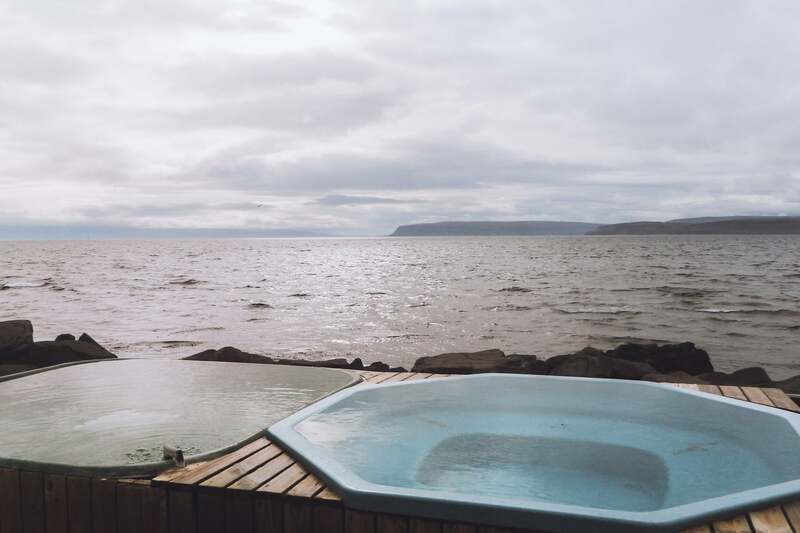 The view for the night is good, more than a few days in Iceland, I have to profit. A long day ahead. It begins with the visit of the Hjorleifskofði. This place was advised by a friend, Julien, who went there in February. 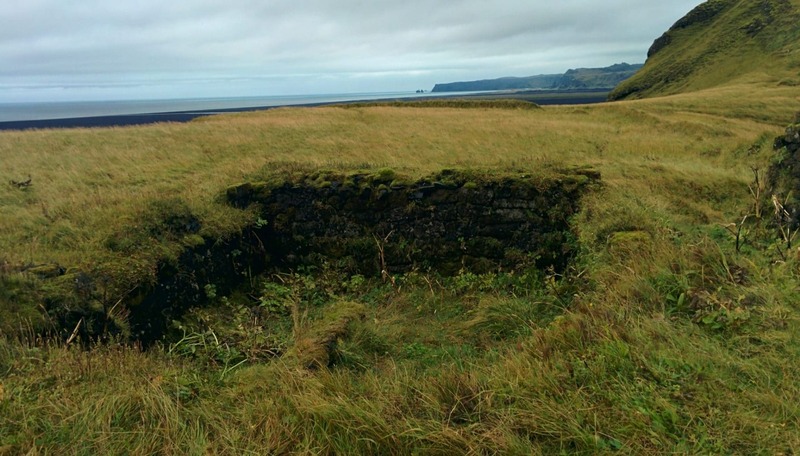 This place is historical and is one of the first places of settlement of Iceland and a Viking tomb is at the top. The place is a little magical, it looks like a lost island in the middle of a sea of ​​black sand. 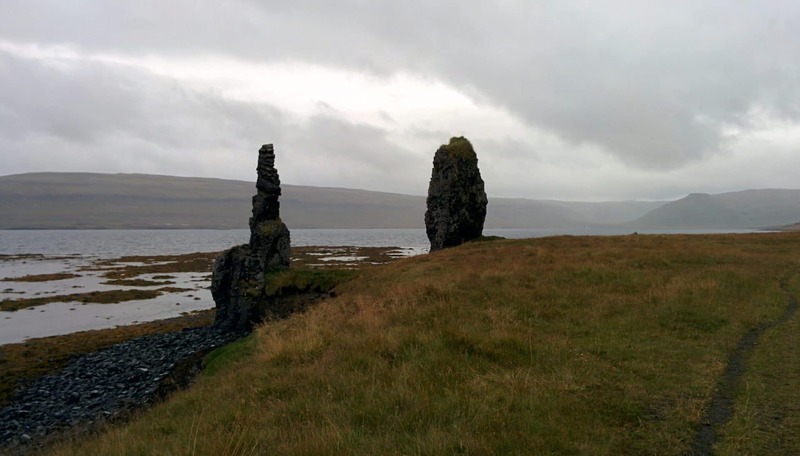 In the past it was an island but the level of the sea fell thus linking the “hill” to Iceland. 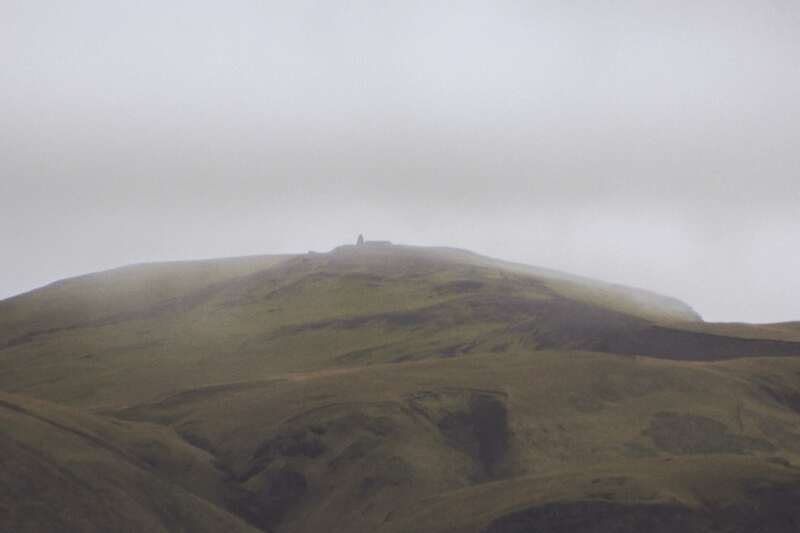 The ascent of the 220m of the hill, alone, in the rain has something mystical. No one comes here because it is not known. Up the view from the tomb is sublime especially in bad weather, I think. A little further down are the ruins of Arnarson’s farm. I also find the trace of the passage of my buddy on the logbook of the geocache of the summit. I’m glad I came here. 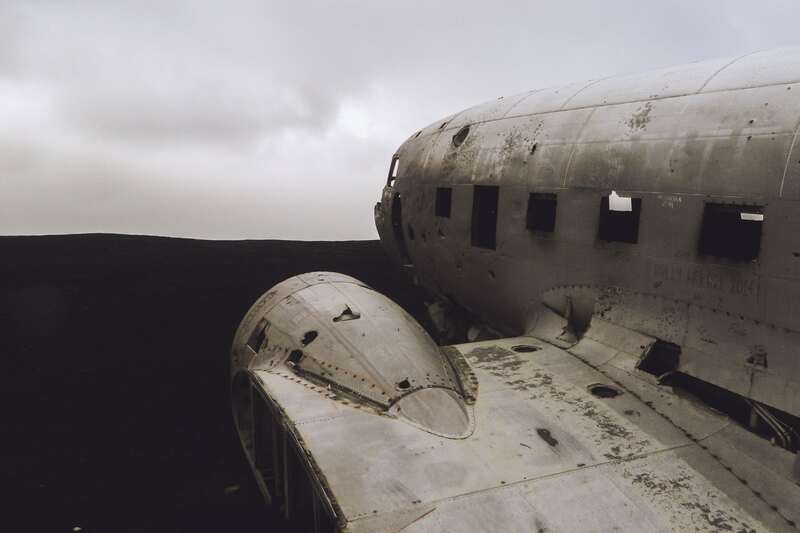 My next step is the wreckage of an old DC-3 who crashed here after the war. To get there you have to find the beginning of the road that I will walk because the car would not pass I think. Rendering on the spot I attack the ride of 3,5km. 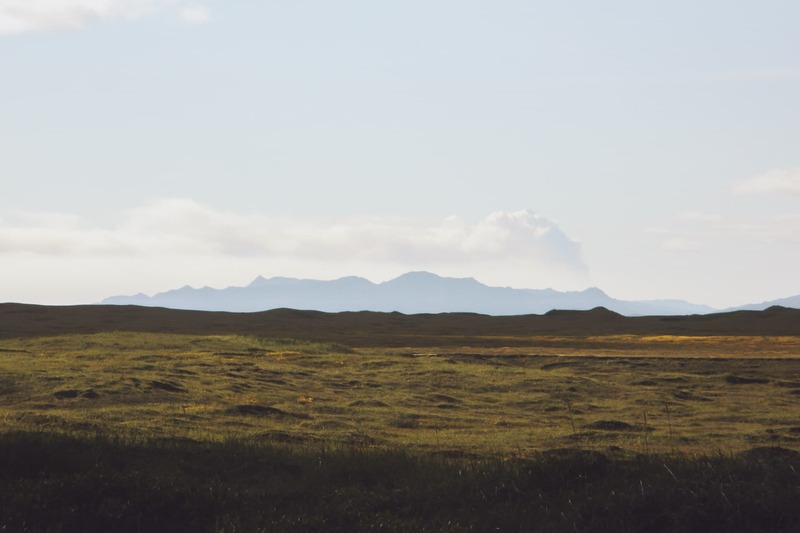 I go well, in the immensity of the Sandur, and in the distance I begin to see the plane. Except that … except that the more I get closer I think there is a problem: a good big river with a large flow cuts me the way for the plane … I decide to go lower down in order to ” Try to see if there is a passage. But no, no passage. Rather than taking risks to cross I turn back. Looking closer I realize my mistake and I resume the car to push 400m further and finally take the good entry for the plane … I attack the 4km again. The plane is approaching again but for good this time. It’s a bit surreal to see it like that. 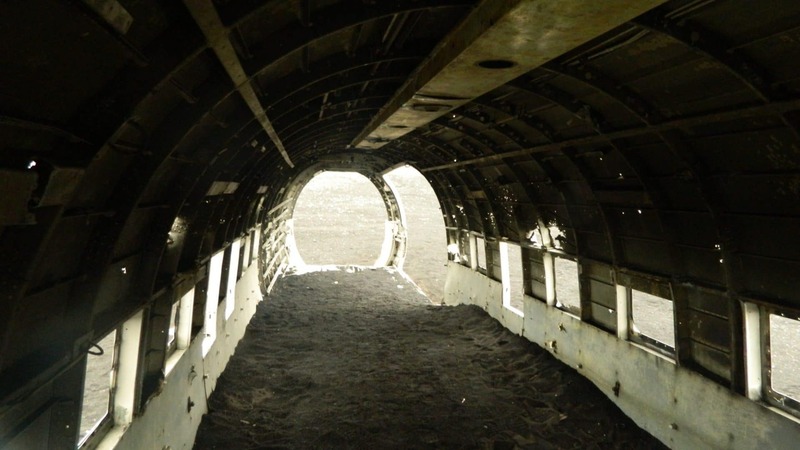 It does not remain all the pieces but the plane is in good condition. Another 4km back to the car and I drive in direction the beautiful waterfall Skogafoss which is also the beginning of the hike of the Landmannalaugar. 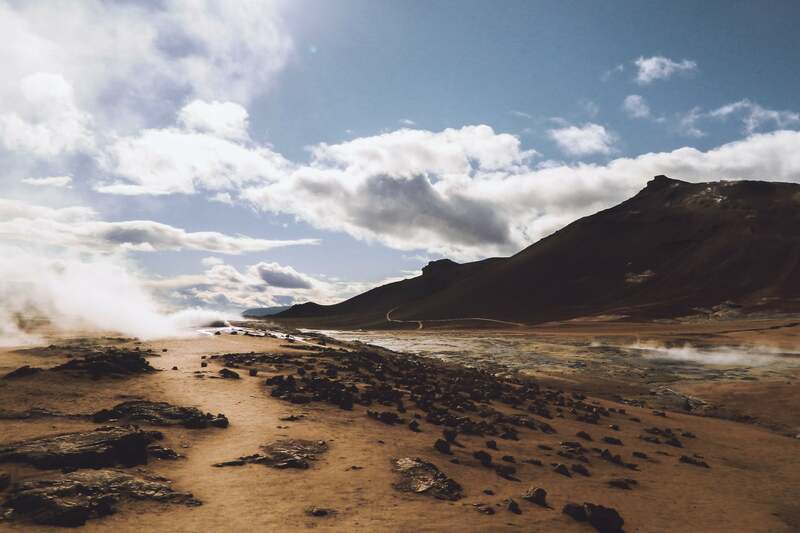 The Landmannalaugar trek is the hike to do if you go to Iceland, the beauty of the scenery is breathtaking. 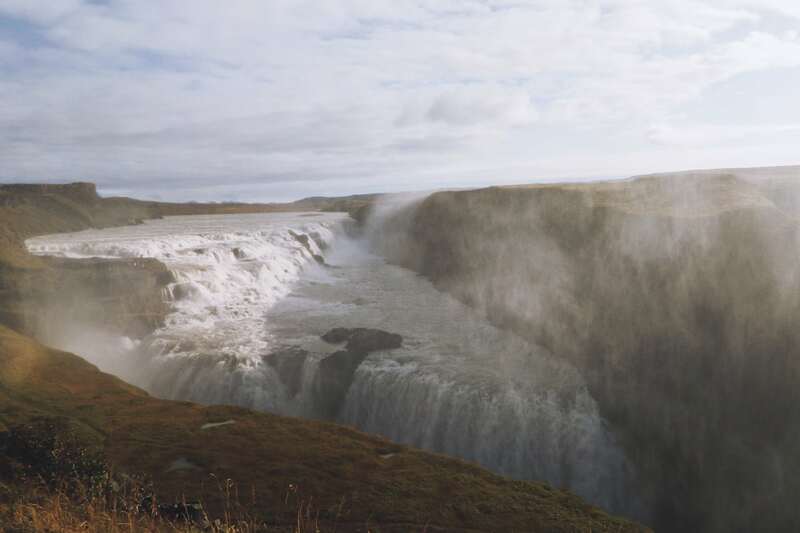 The waterfall is impressive, a real wall of water of 60m. 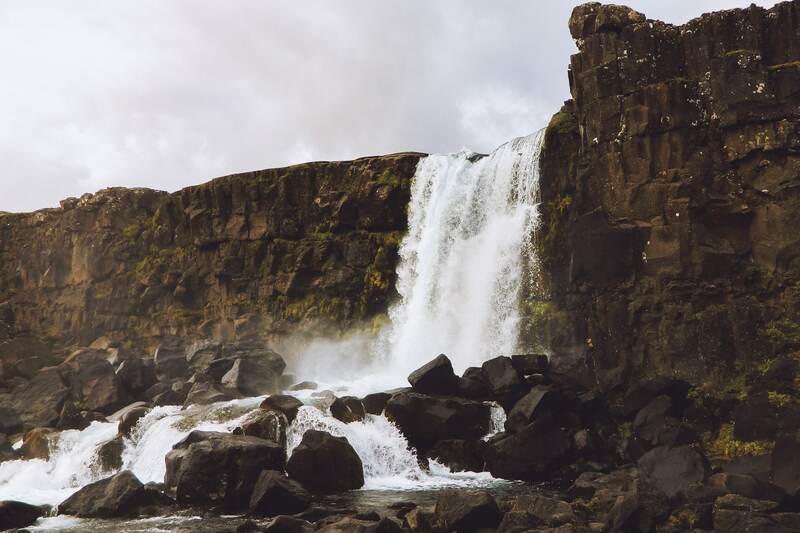 The road continues and the series of stunning waterfalls also with Seljalamdsfoss which has the particularity of not being hung on the cliff. We can even go behind it’s very beautiful. Back in Reykjavik in the early afternoon. The circle is complete. 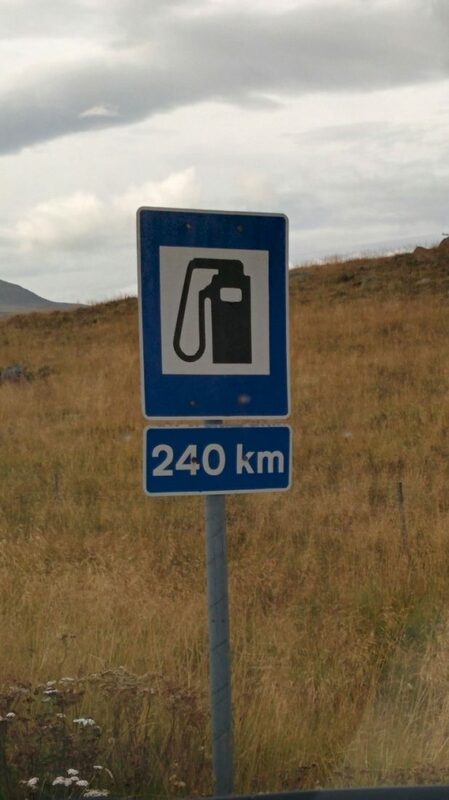 3500km at 57km/h on average. I take a bed in the “Reykjavik Backpacker” street Laugavegur (which I find better than the Kex). 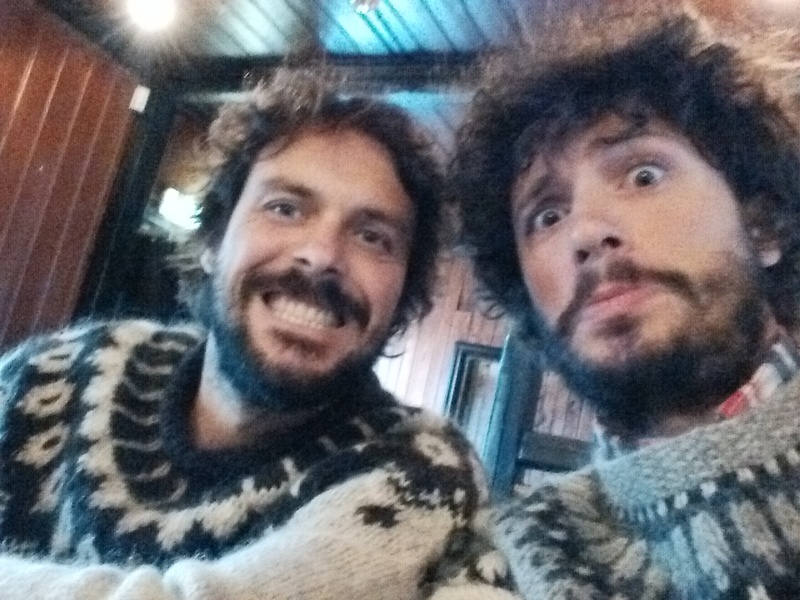 Here I meet Pascal, the guy from Quebec I met in Akureyri. As I have quite a long time I take the opportunity to visit the city. It’s very nice, Reykjavik has the perfect Scandinavian style. The day passes quietly in the sun. The next day I visit, I take the time, I drink cafes in Reykjavik Roaster (which make excellent coffee). At the end of the day, I meet Pascal with whom we take drinks at Dylon and with whom we try the “Rotten Shark”, shark kept underground for several weeks. It’s horrible it stinks urine, inedible … The evening continues at the bar of the Youth hostel with French guys, American and other people; I like those cosmopolitan moments. 11pm, I take the road for the last time towards the airport, I return the car then begins a long wait because my plane is late at night. 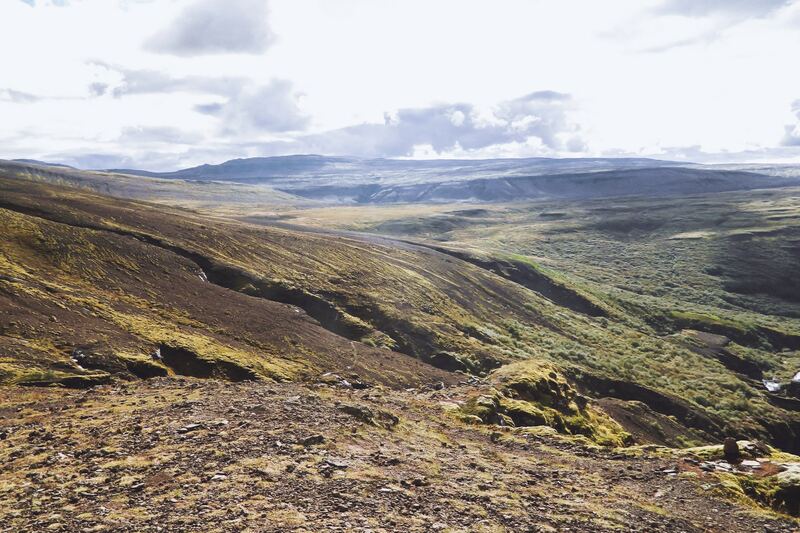 This is the return … bye bye Iceland and see you soon! What an absolutely fantastic country! I used a lot of words like “Superb”, “Magnificent” or “Wonderful” but that’s because it is! 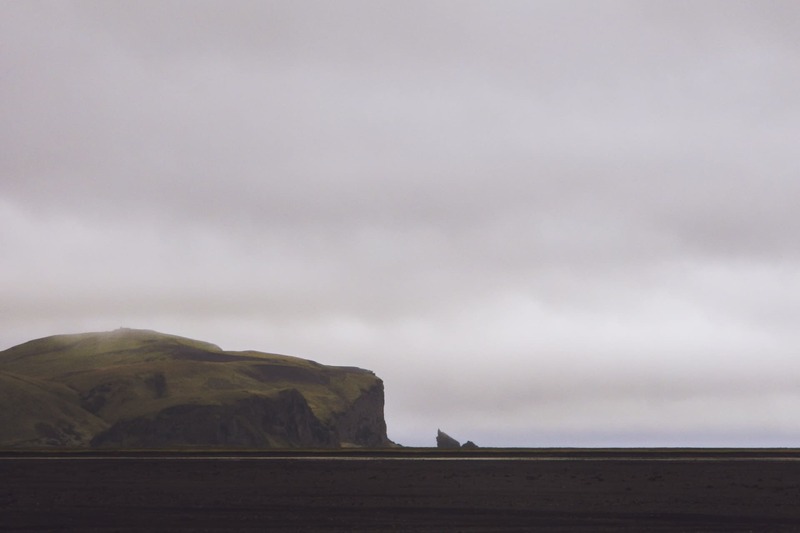 Iceland really offers landscapes apart. We find the “codes” of the Nordic landscapes as we can see in Norway but the volcanism really adds a plus. 14 days to go around I made it a bit quick with hindsight. 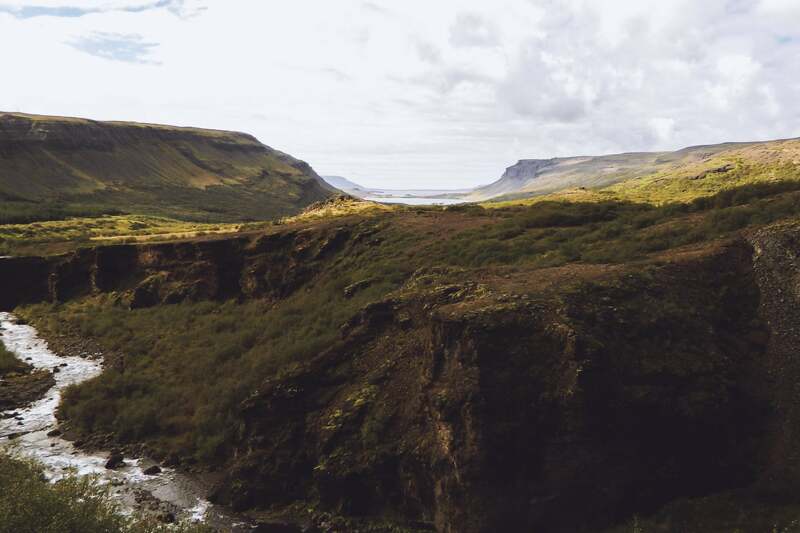 I will have had to be spending more time in places between Hofn and Reykjavik, in the golden triangle too but I do not regret the choices I made. 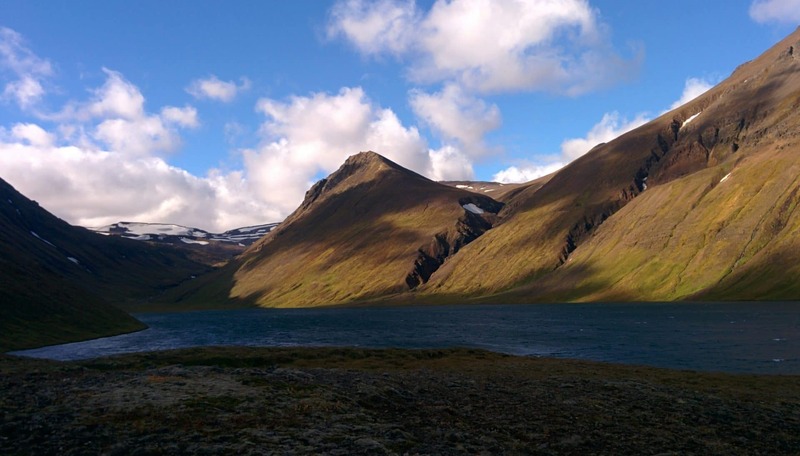 The fjords of the North West for example took me almost three days but it was worth it. Taking a 4wd would also have been more fun, already to go faster on the gravel roads and also to explore the center but once again between the budget and the timing it was necessary to make choices. To conclude: if you hesitate to go to Iceland, stop! Go ahead you will not be disappointed!